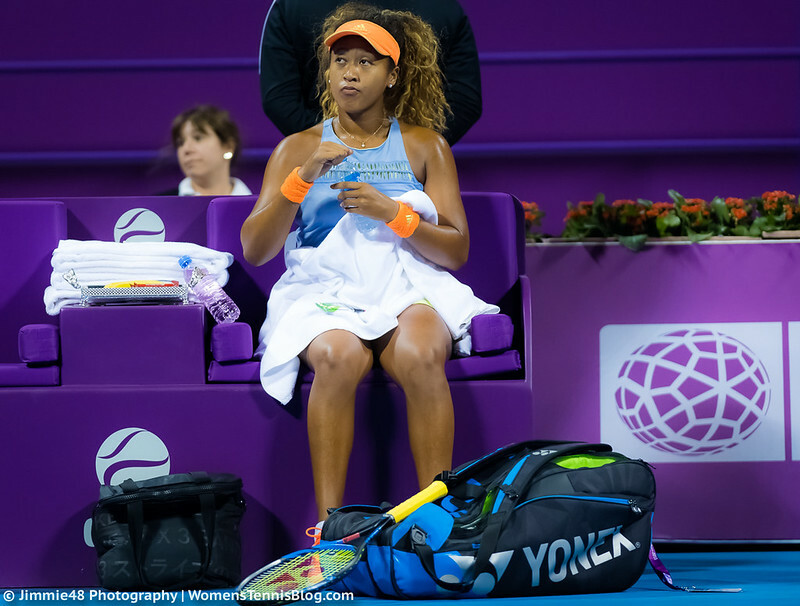 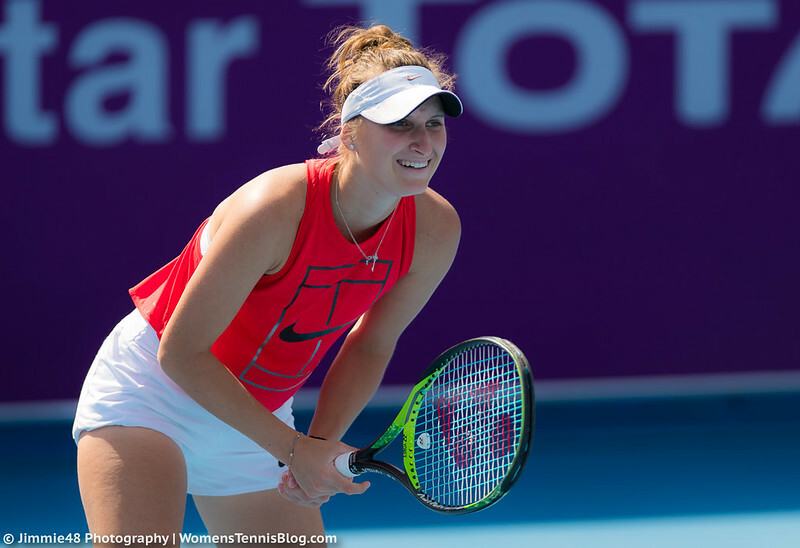 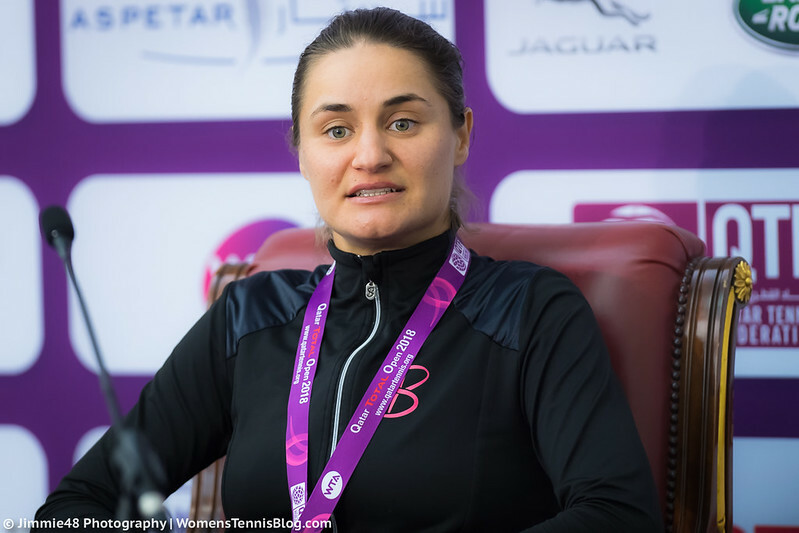 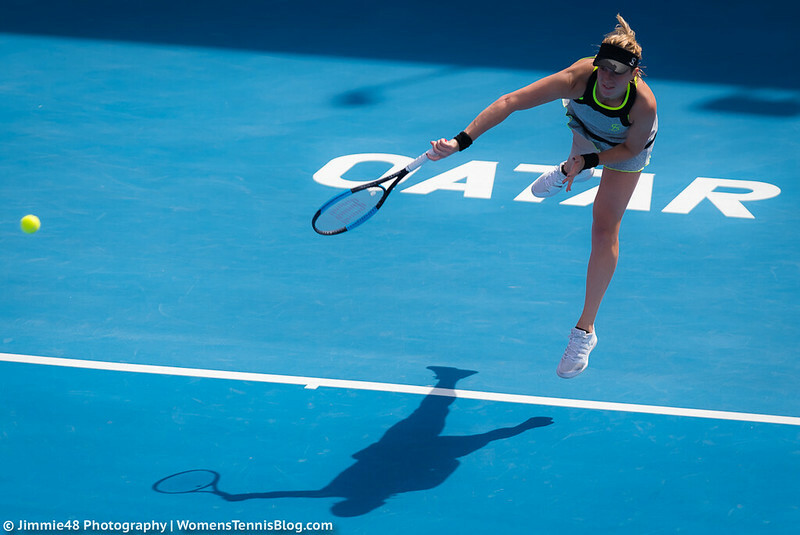 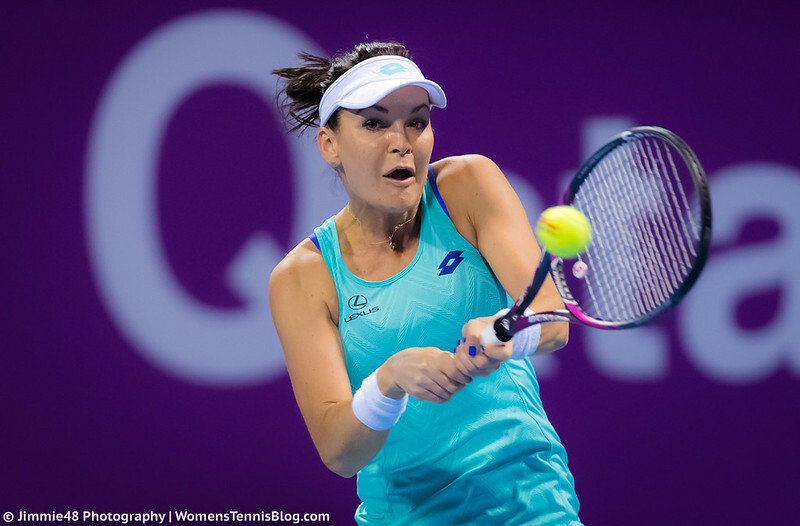 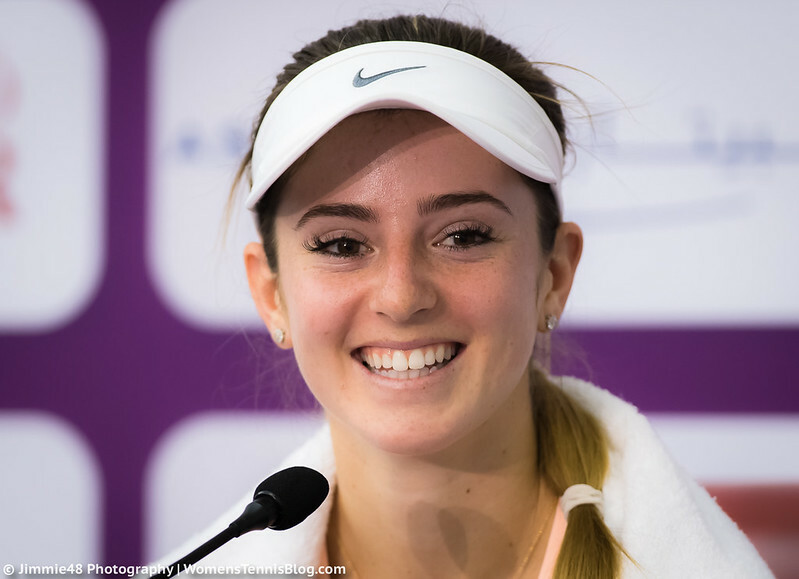 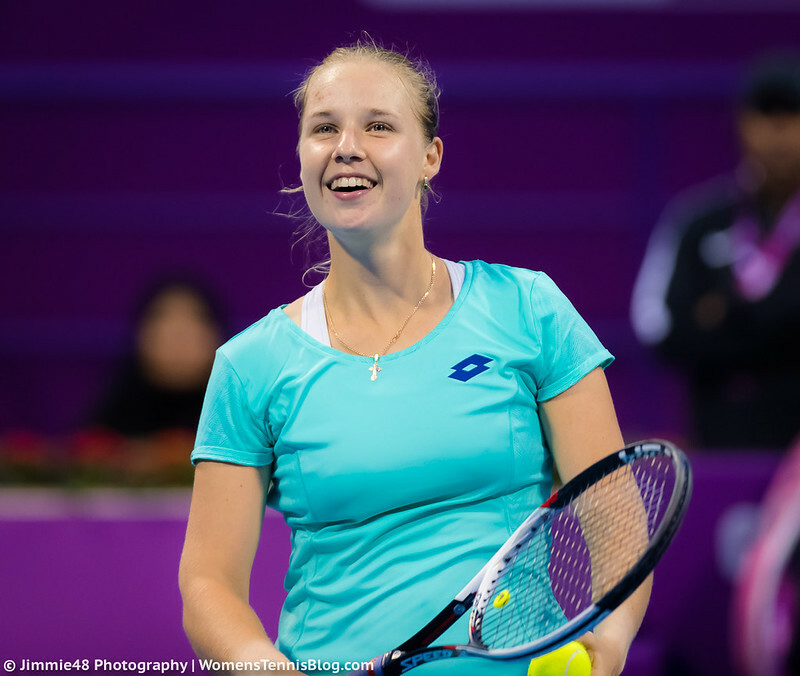 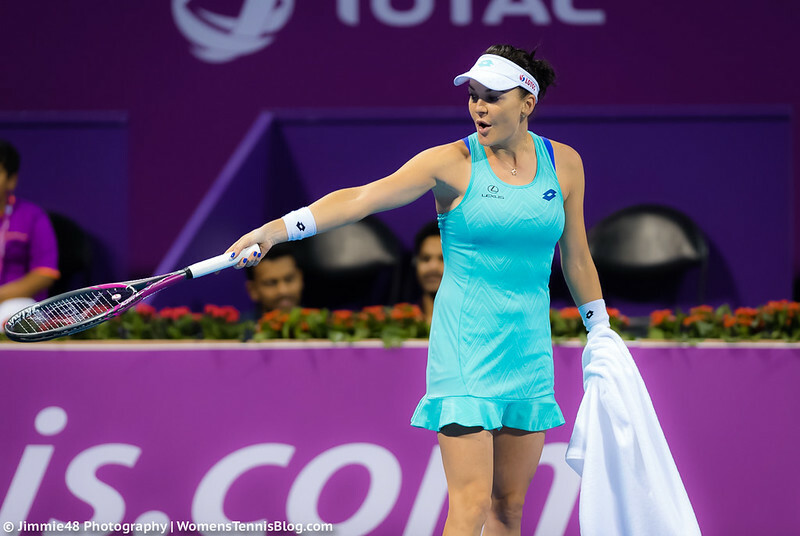 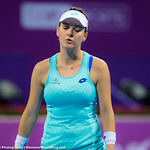 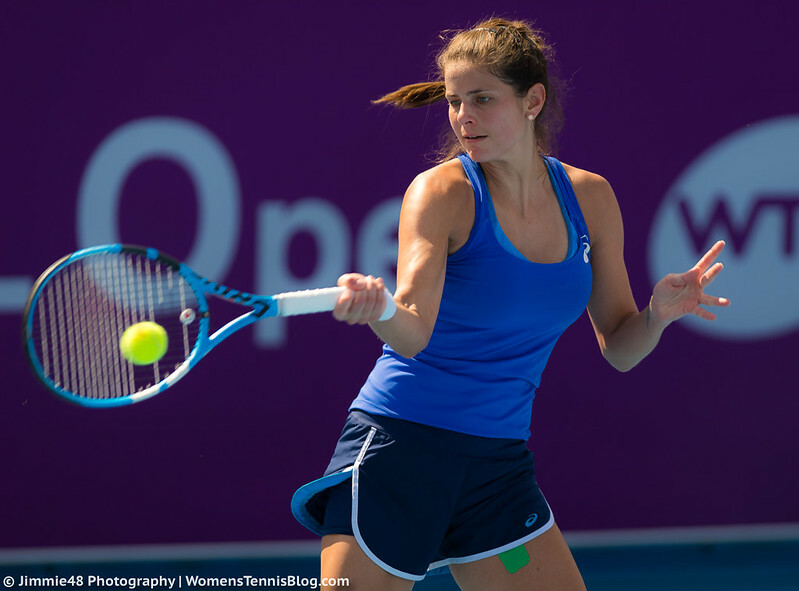 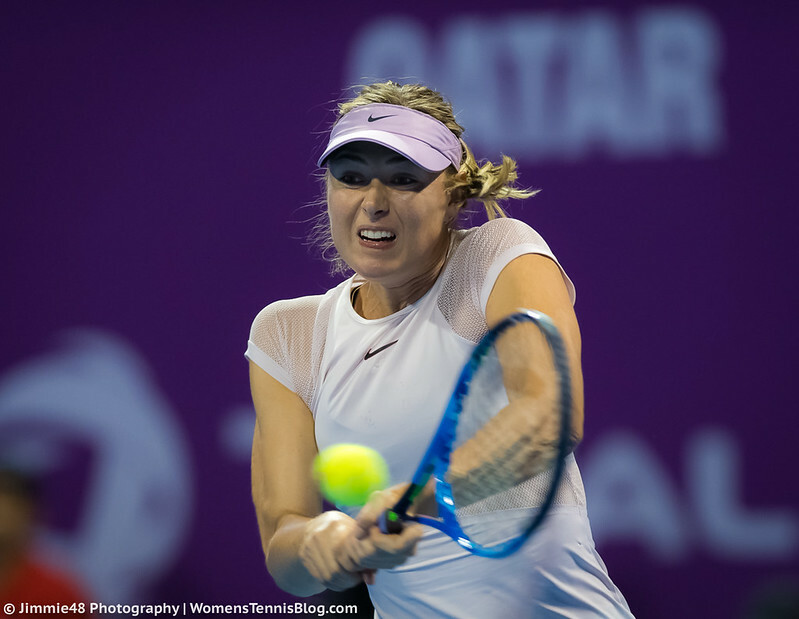 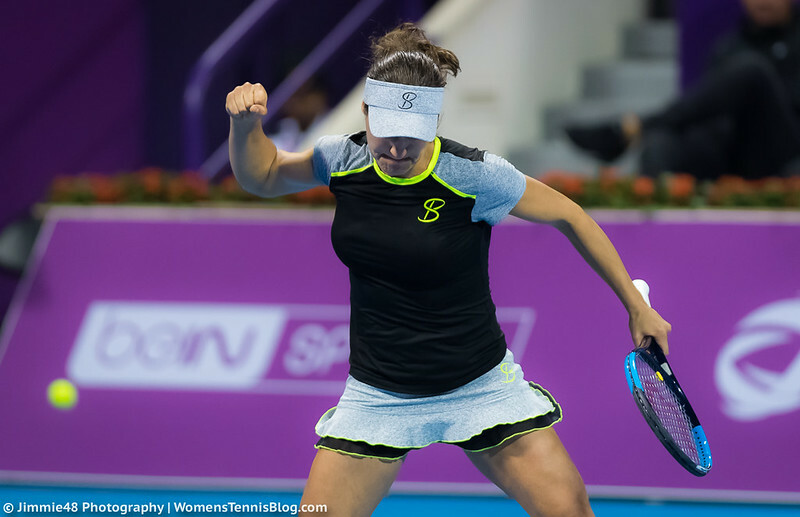 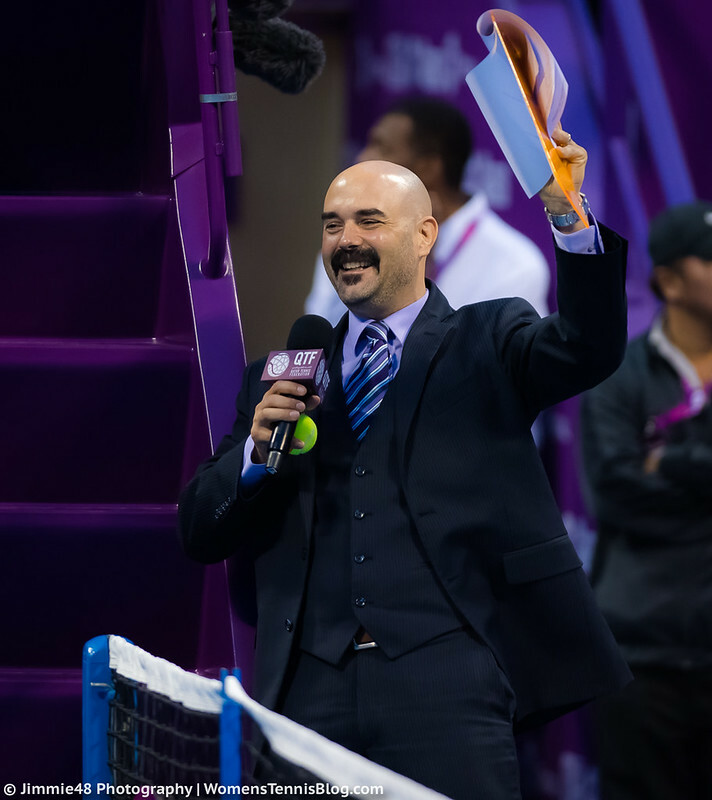 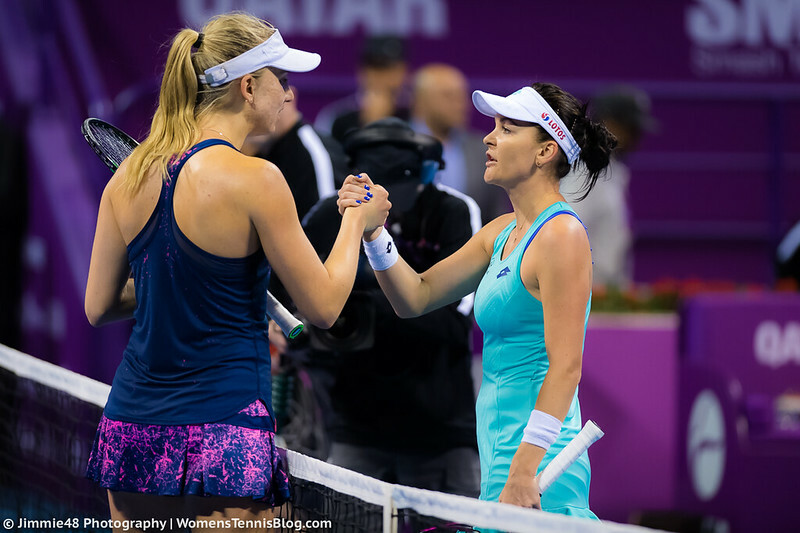 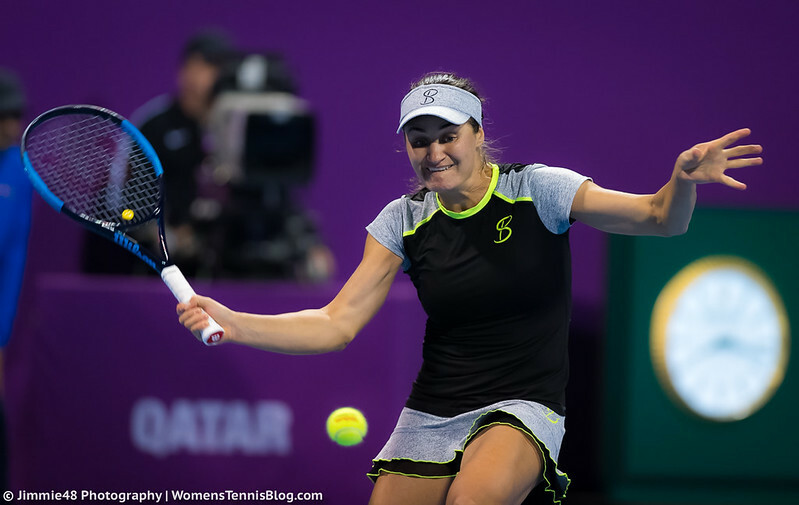 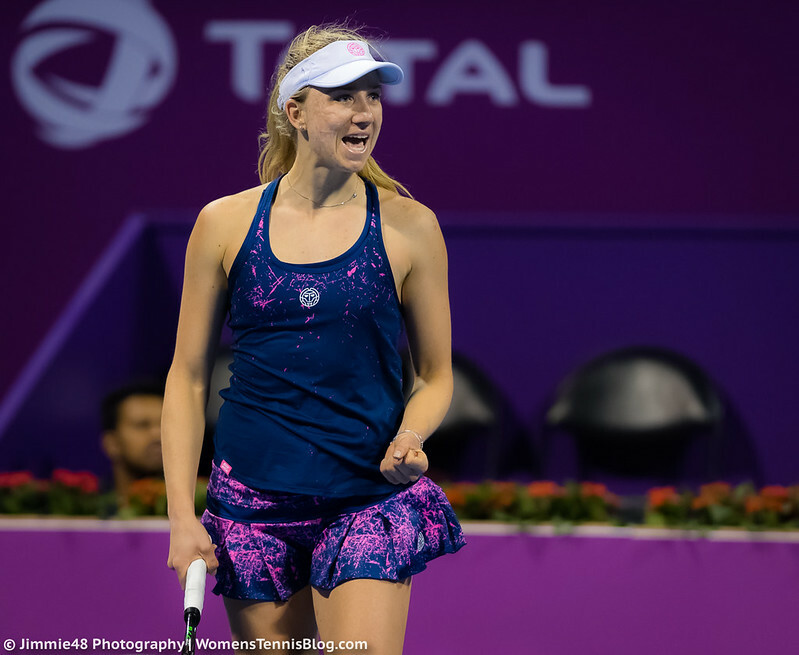 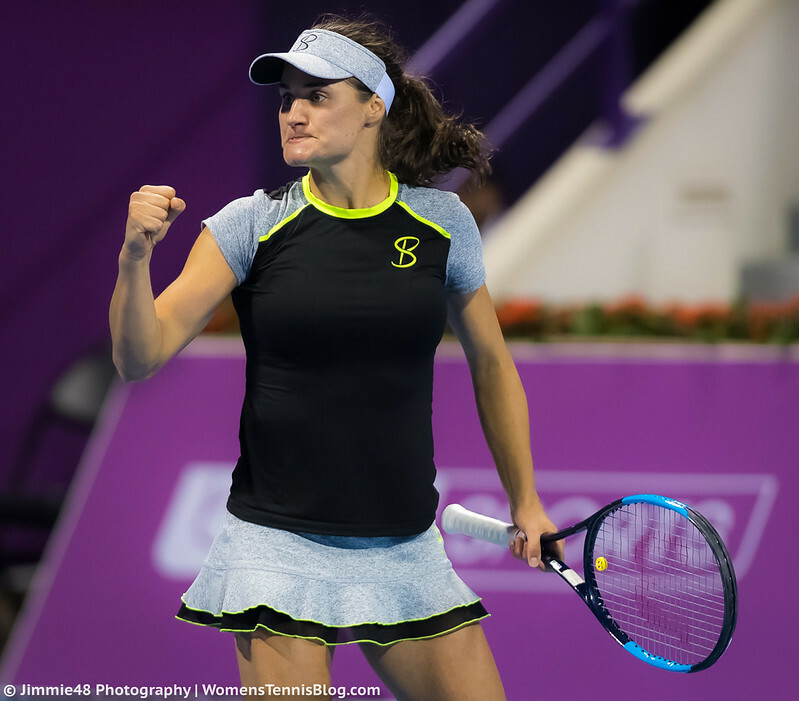 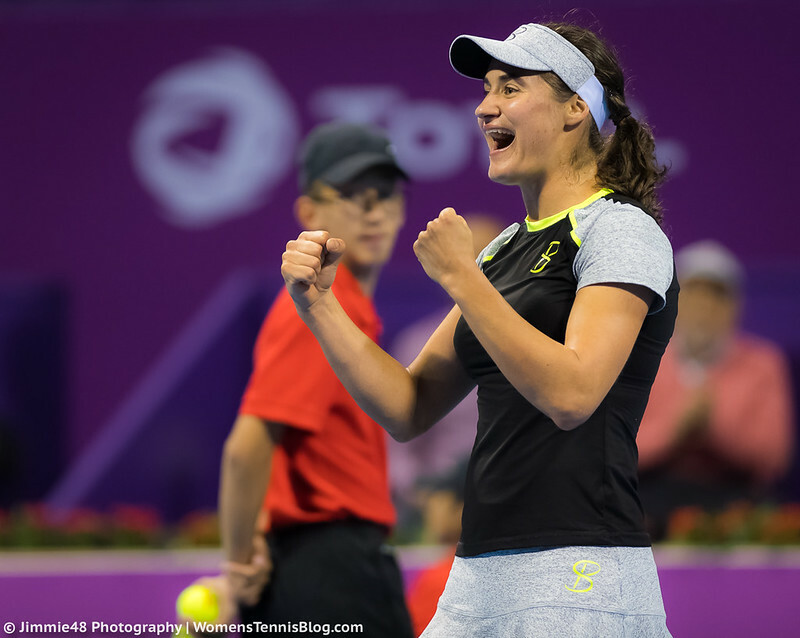 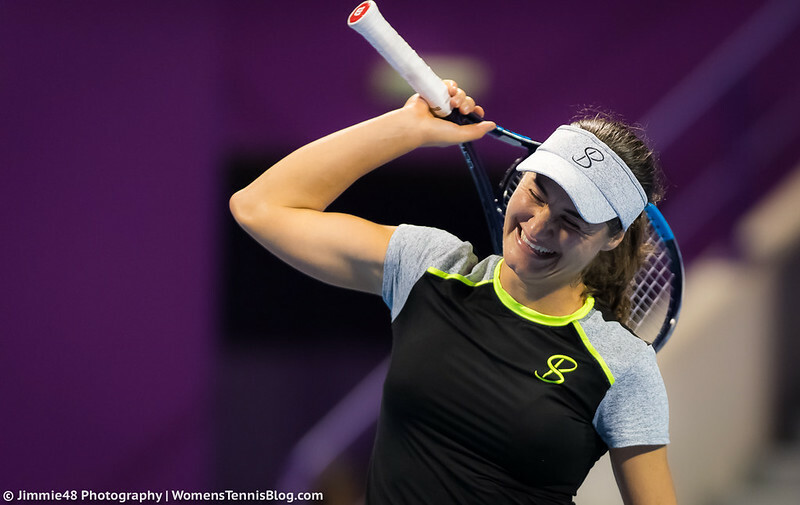 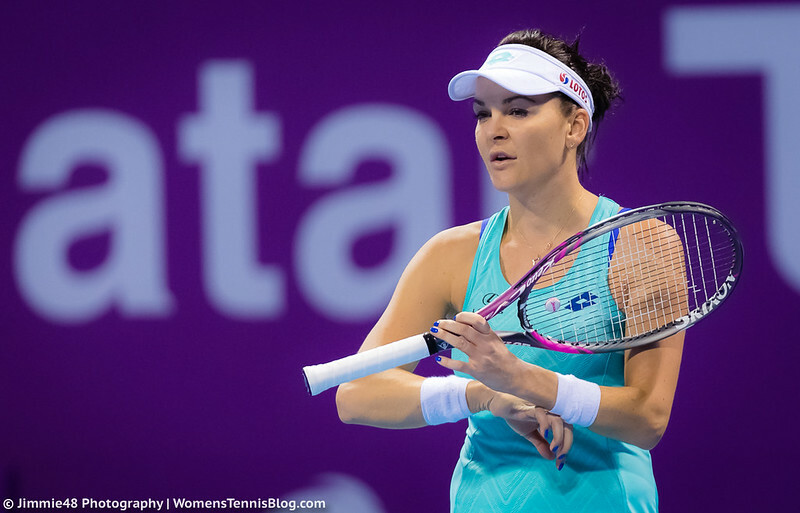 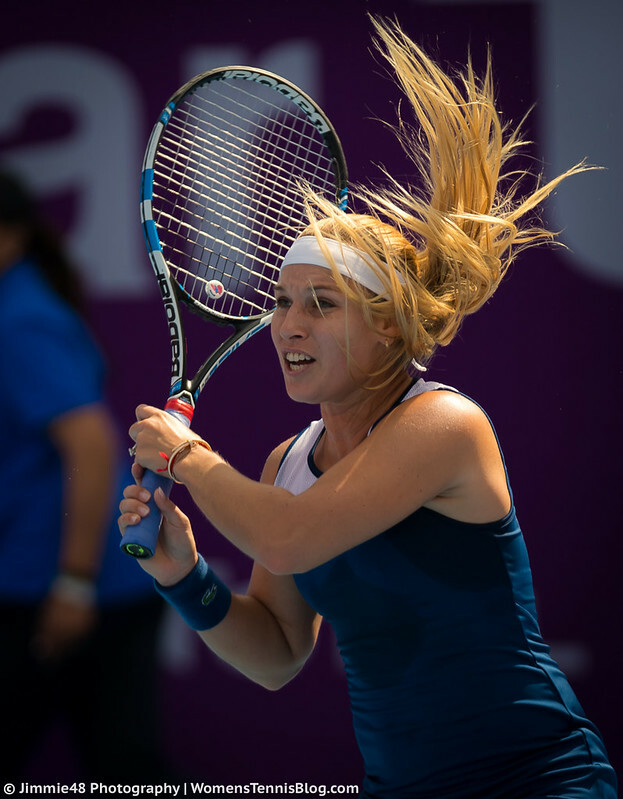 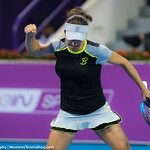 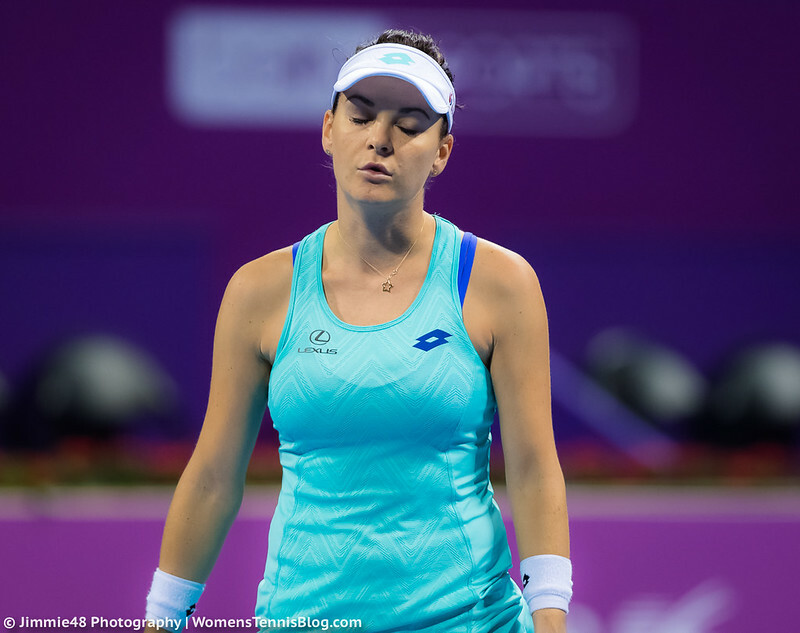 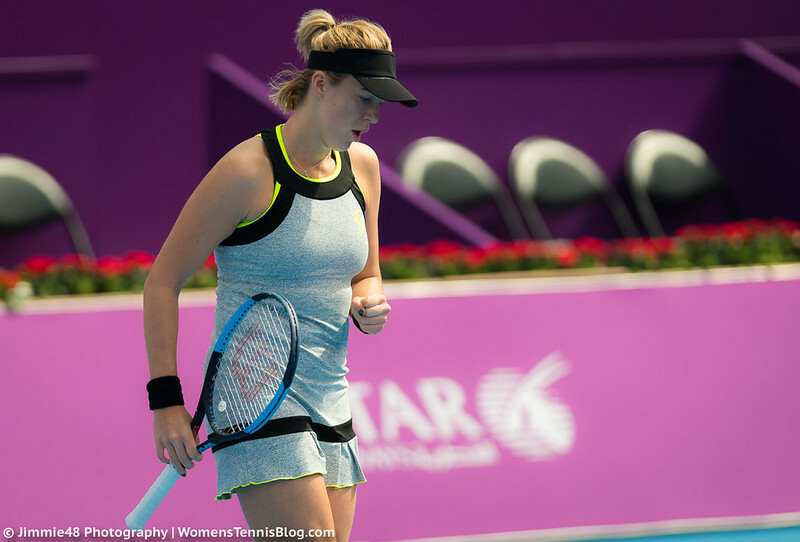 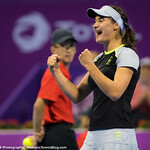 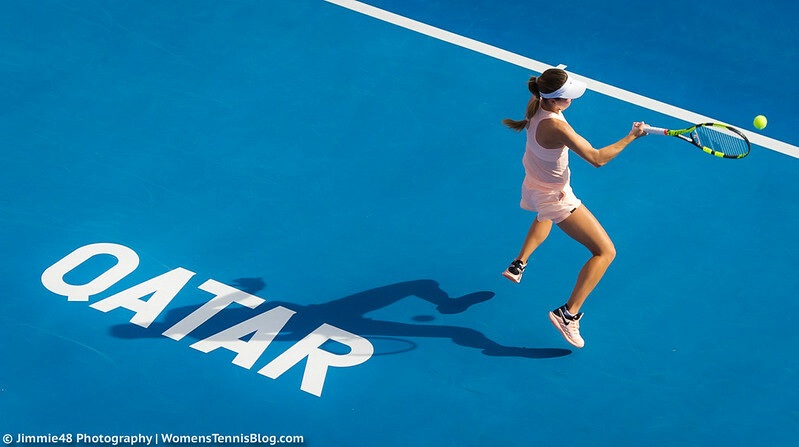 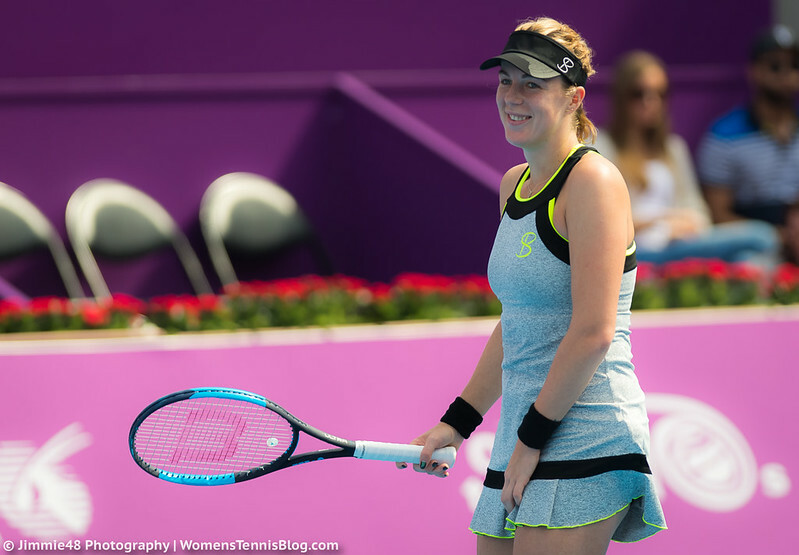 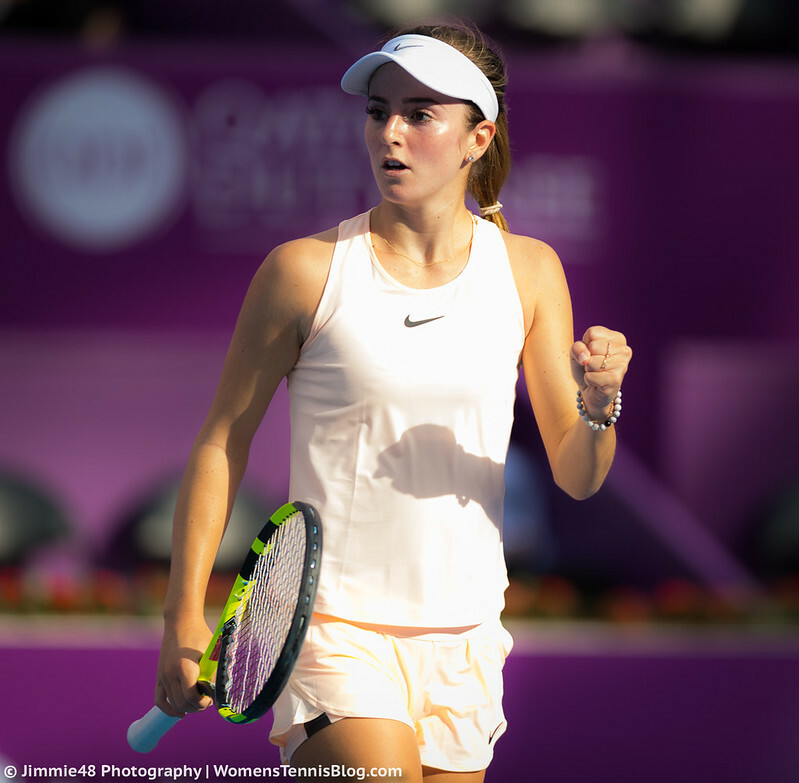 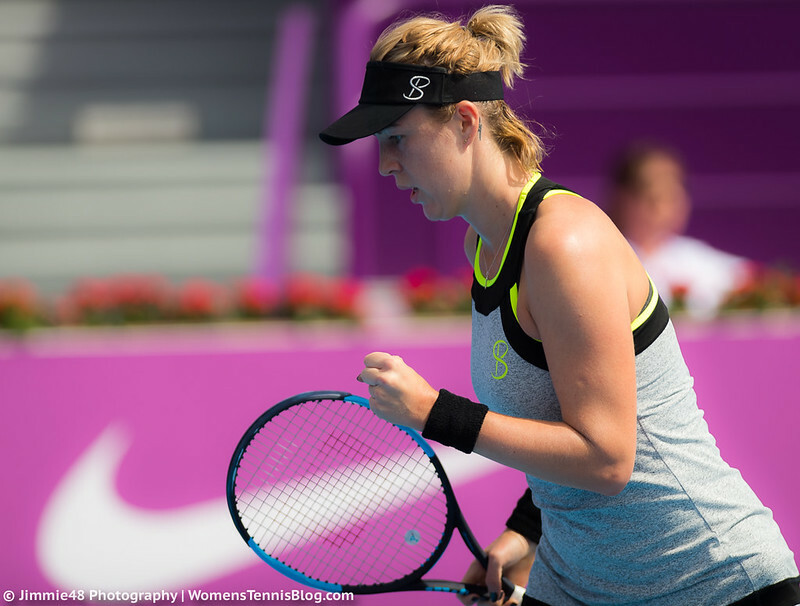 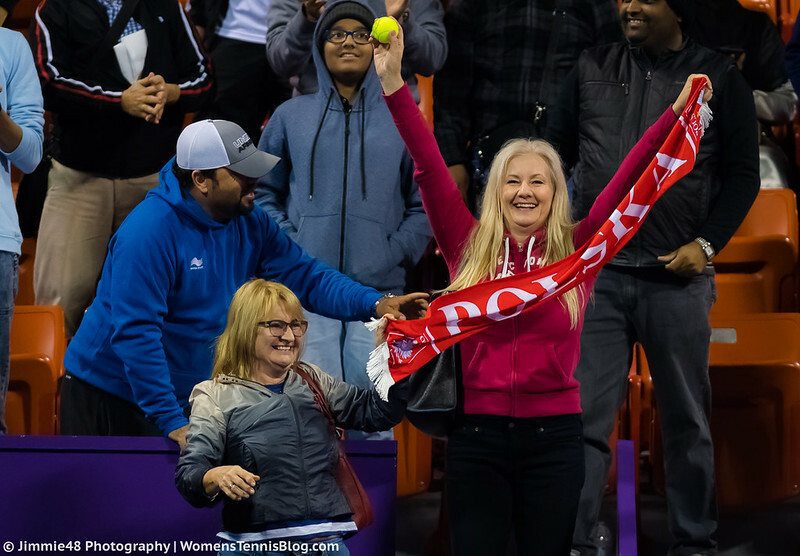 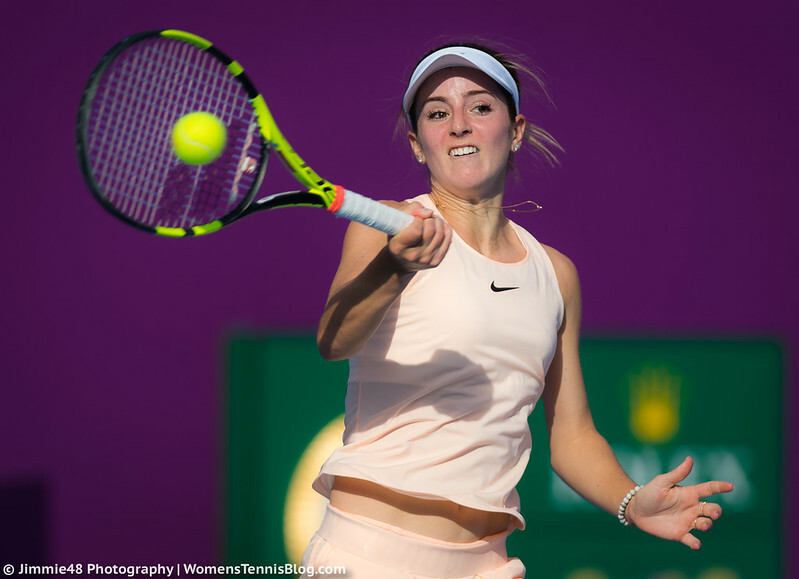 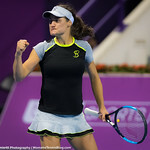 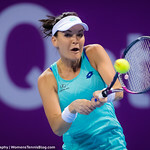 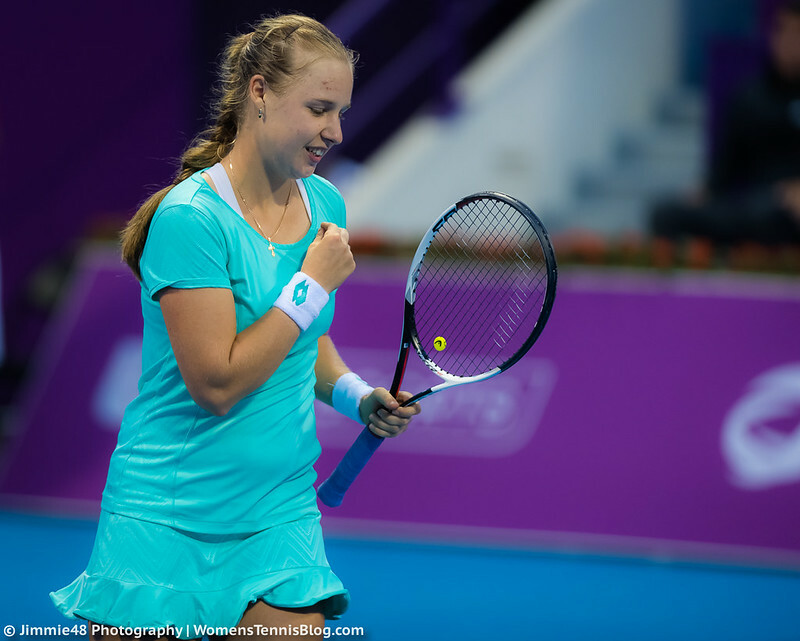 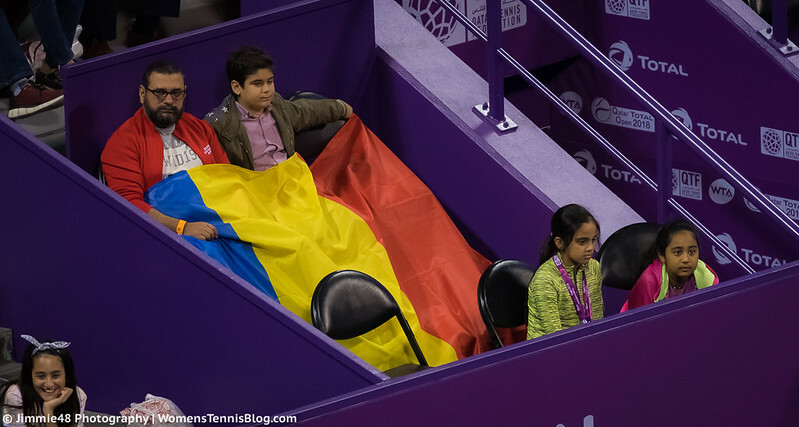 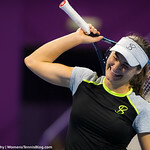 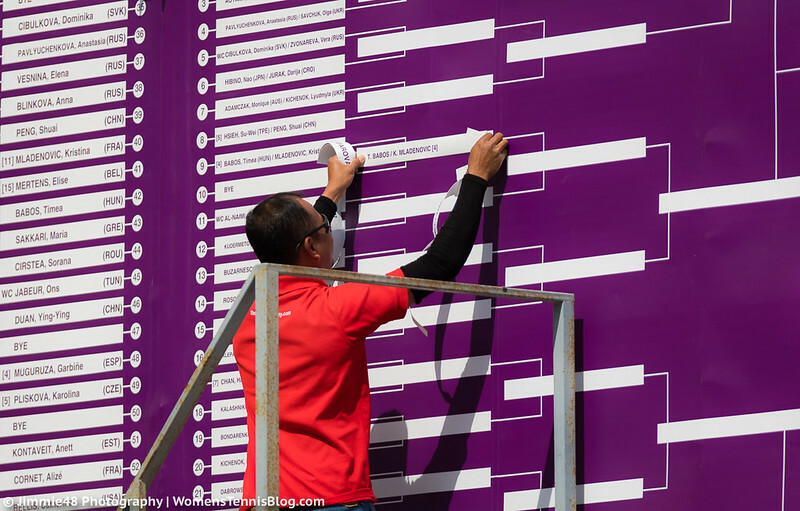 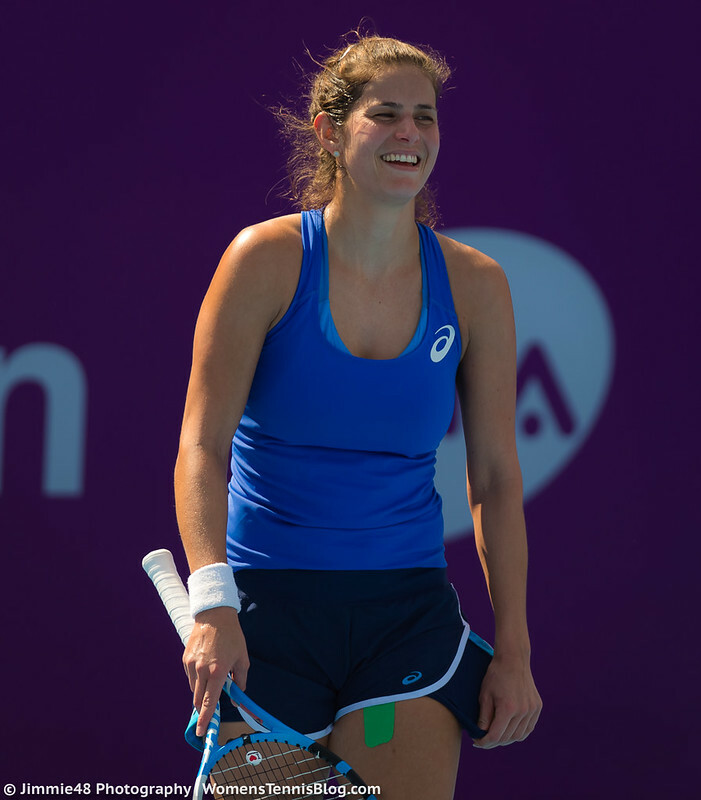 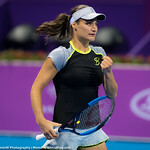 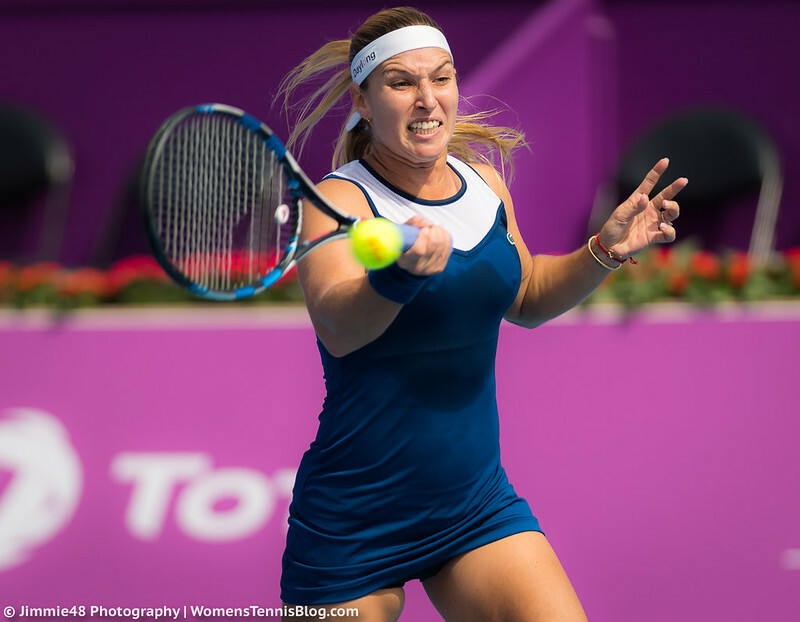 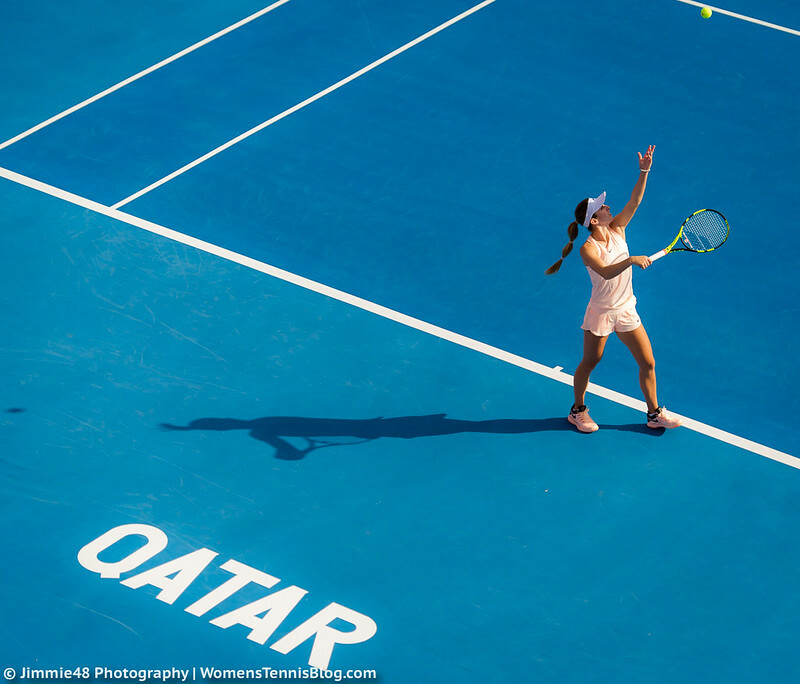 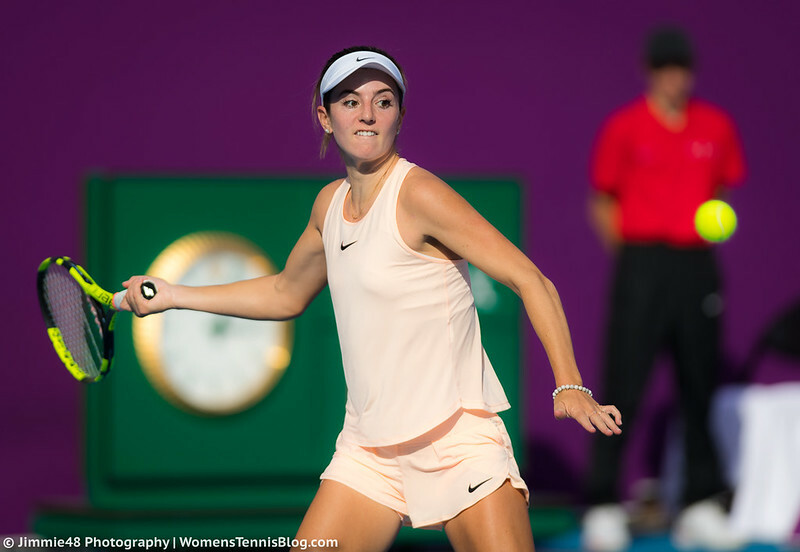 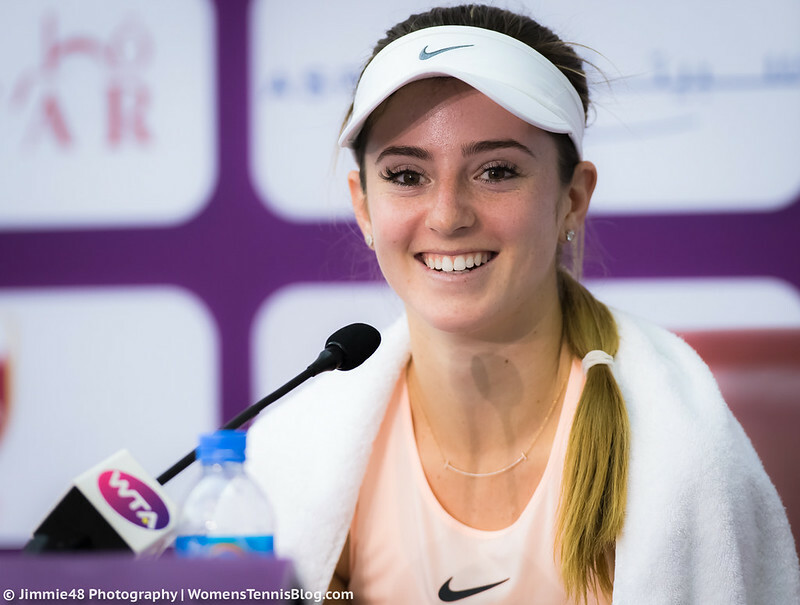 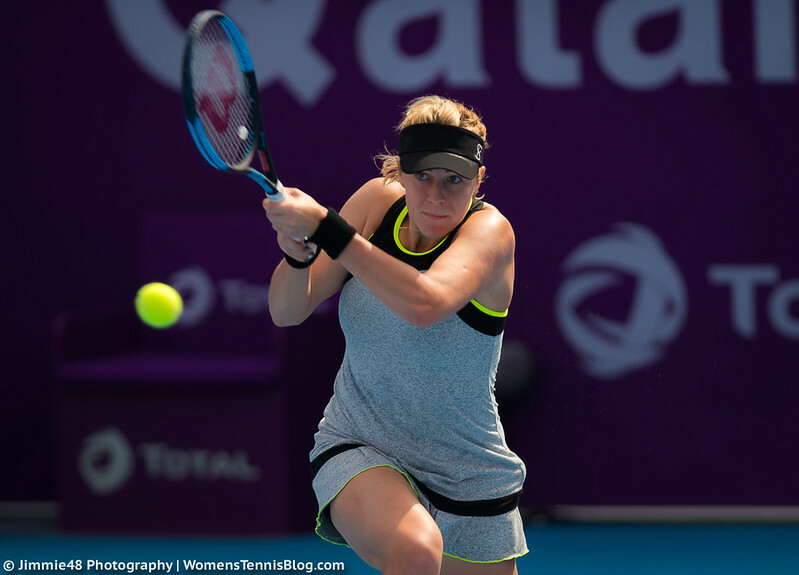 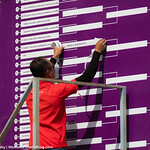 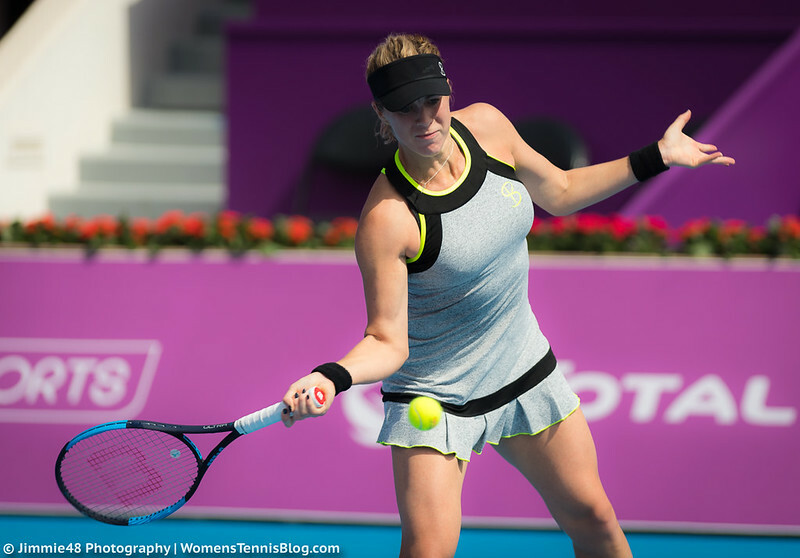 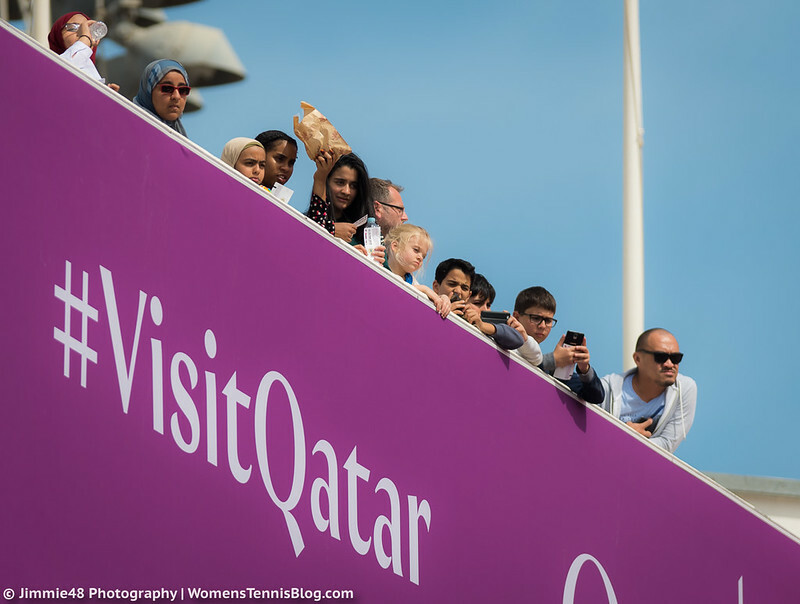 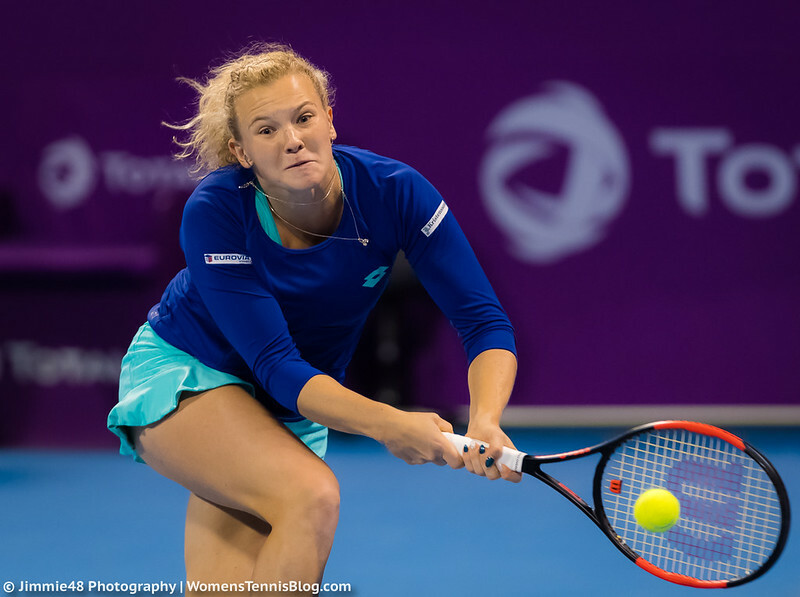 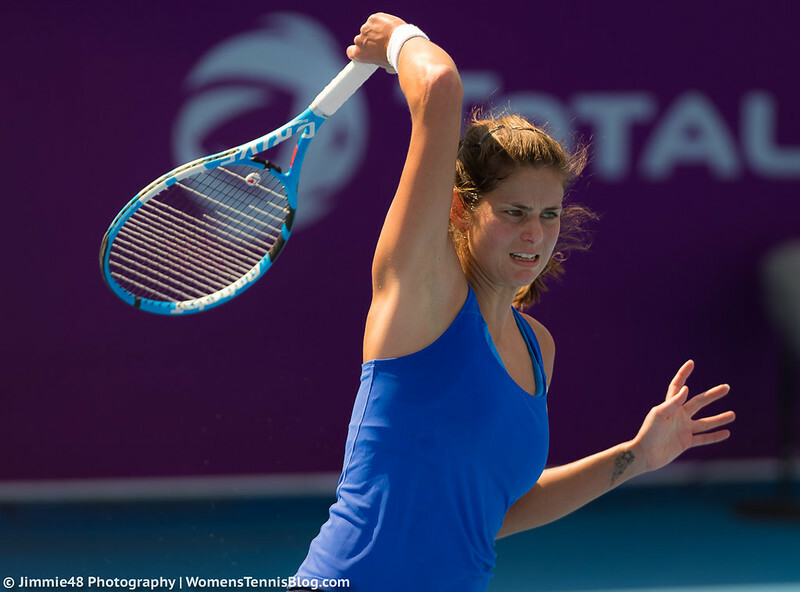 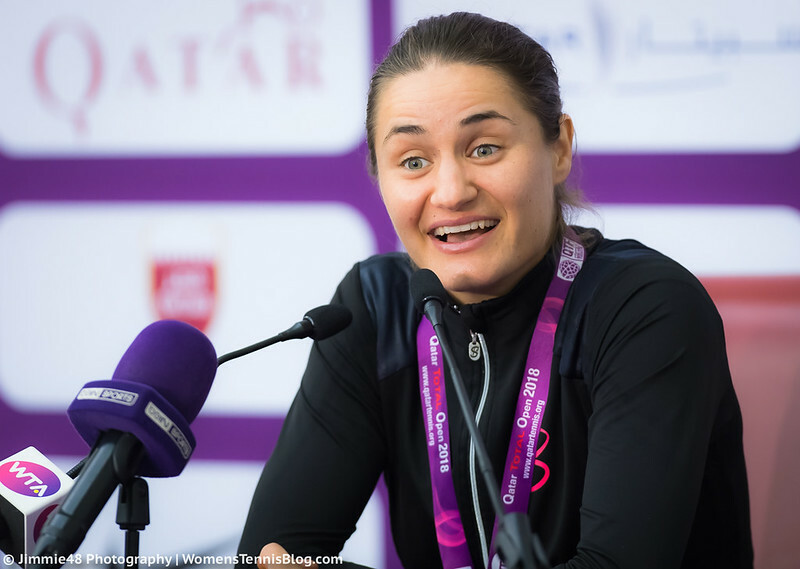 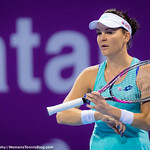 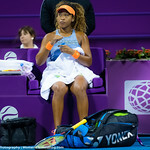 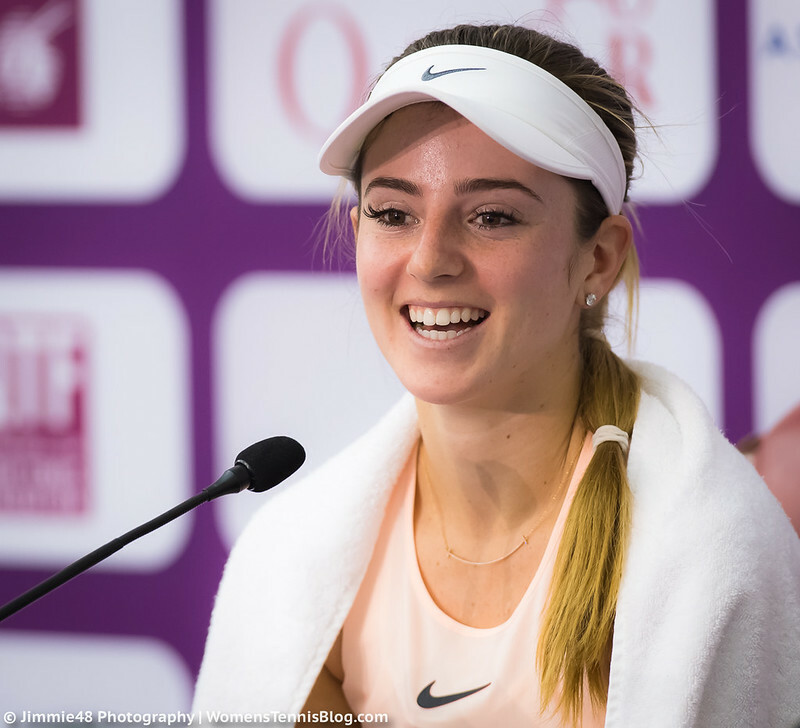 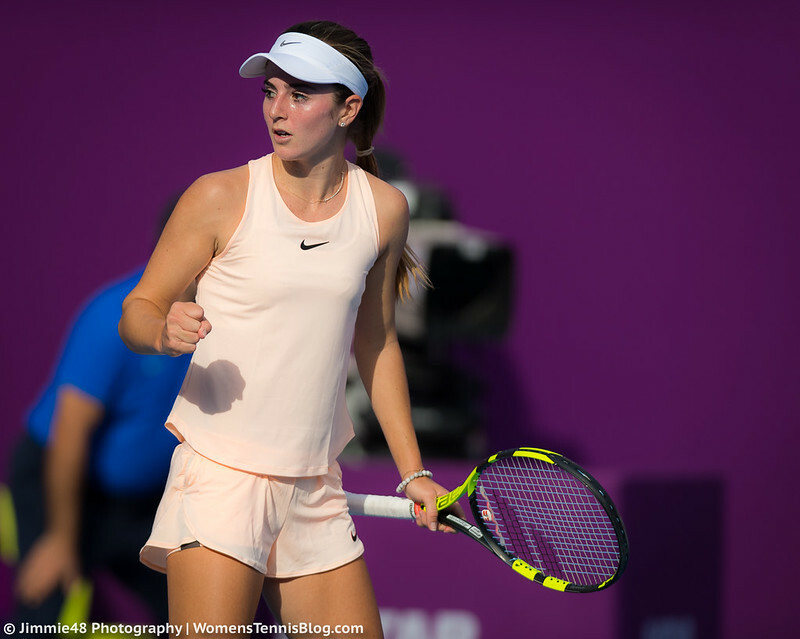 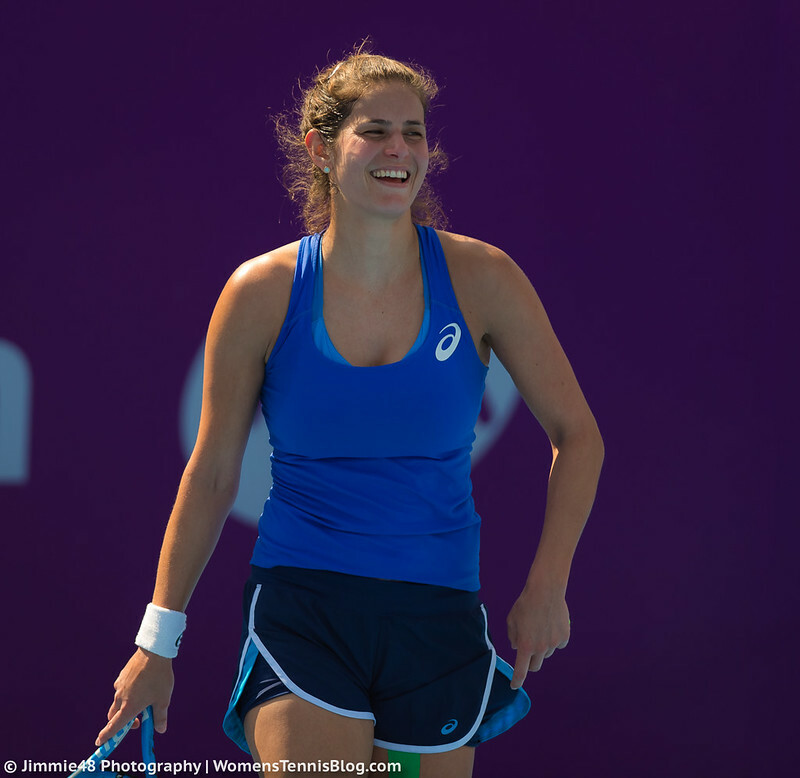 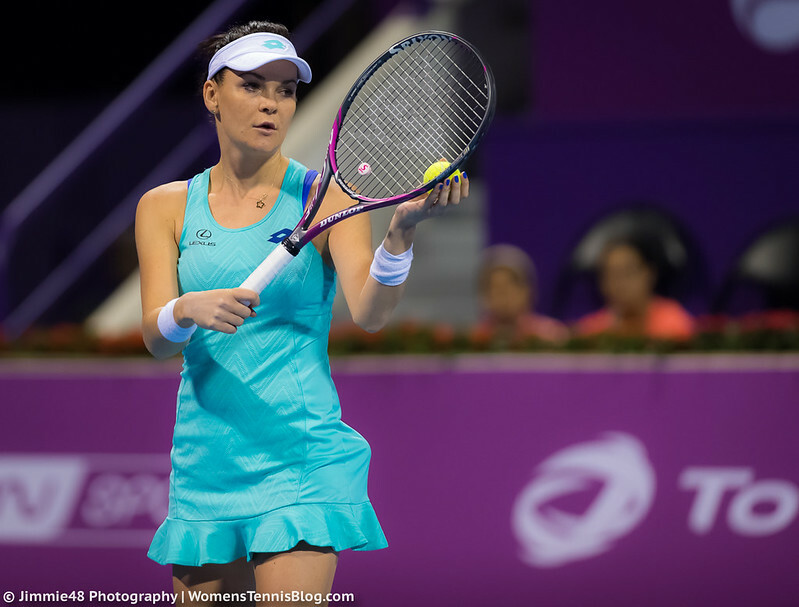 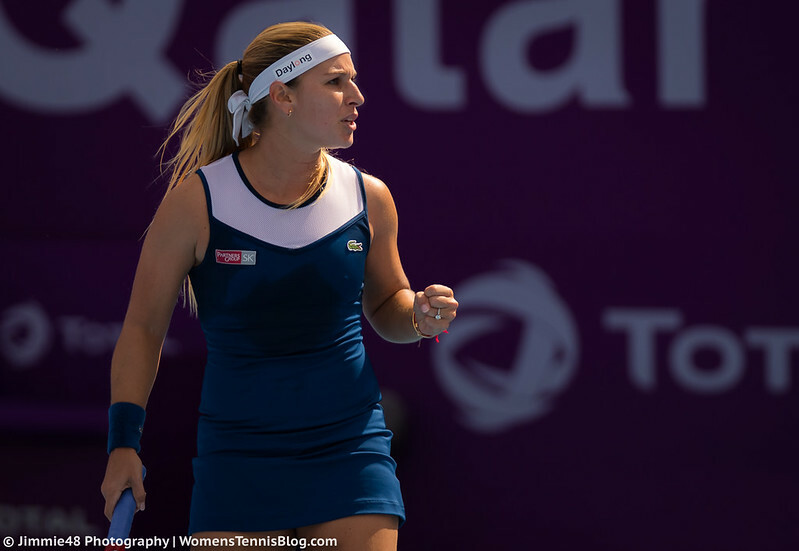 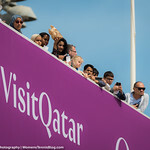 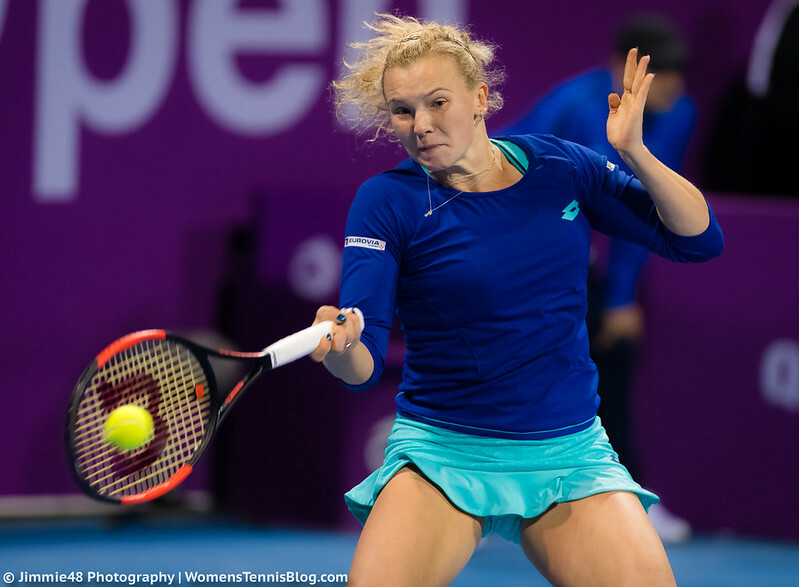 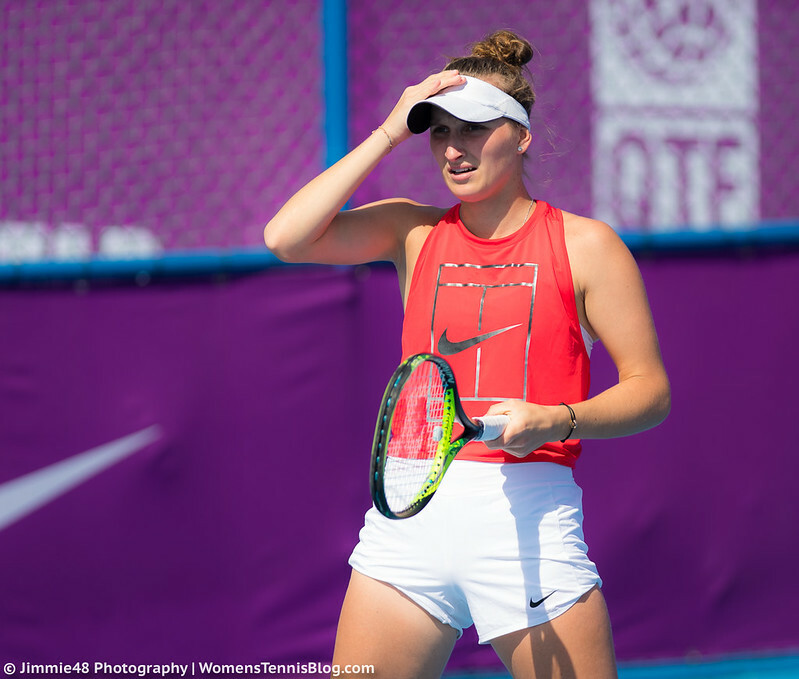 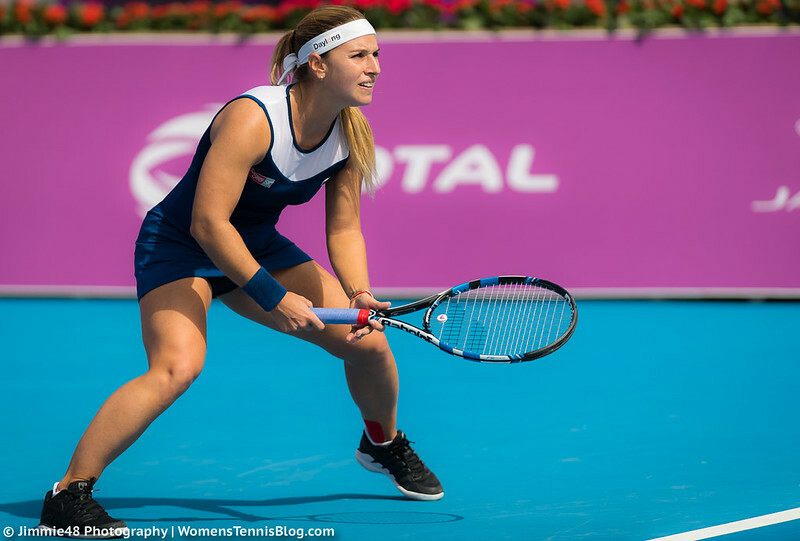 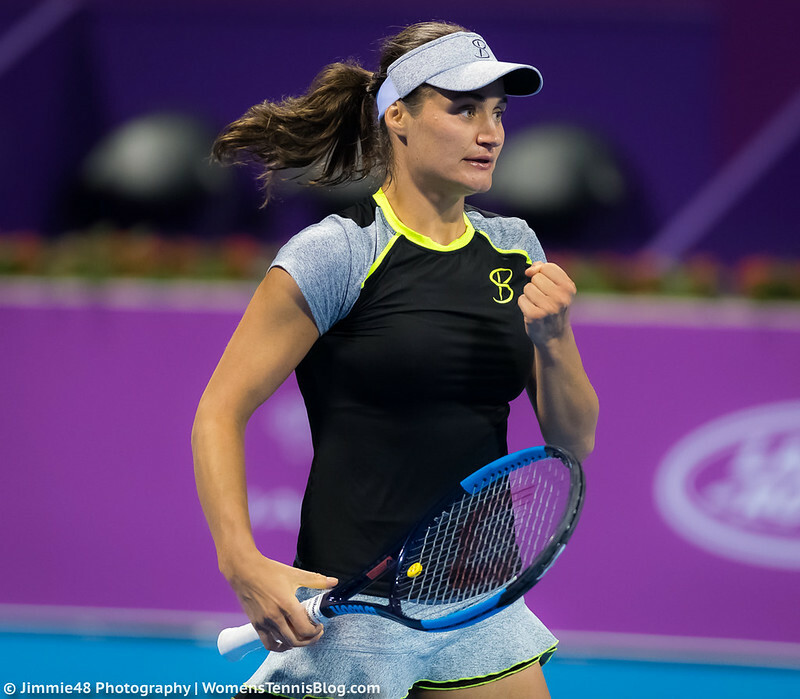 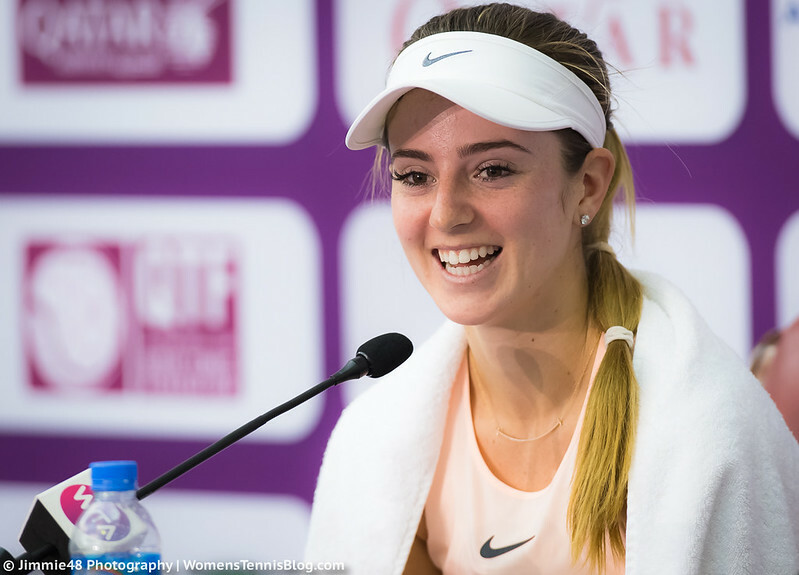 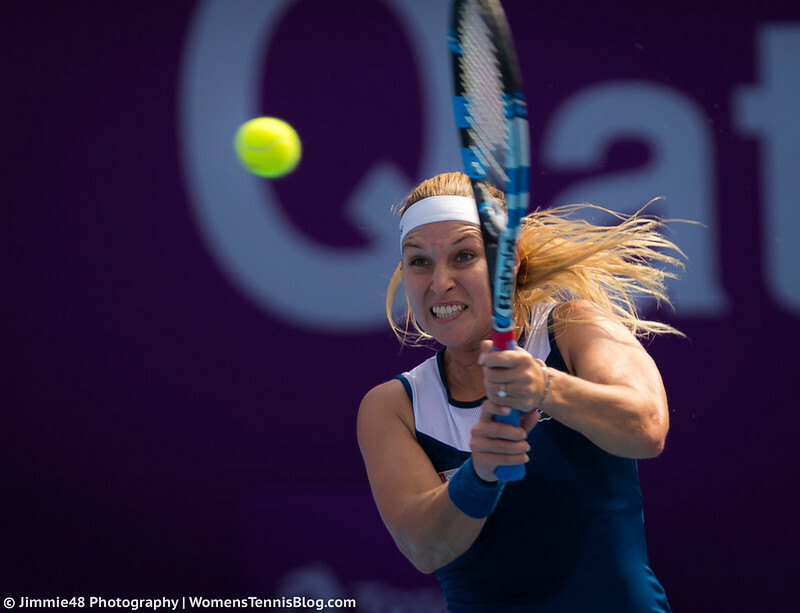 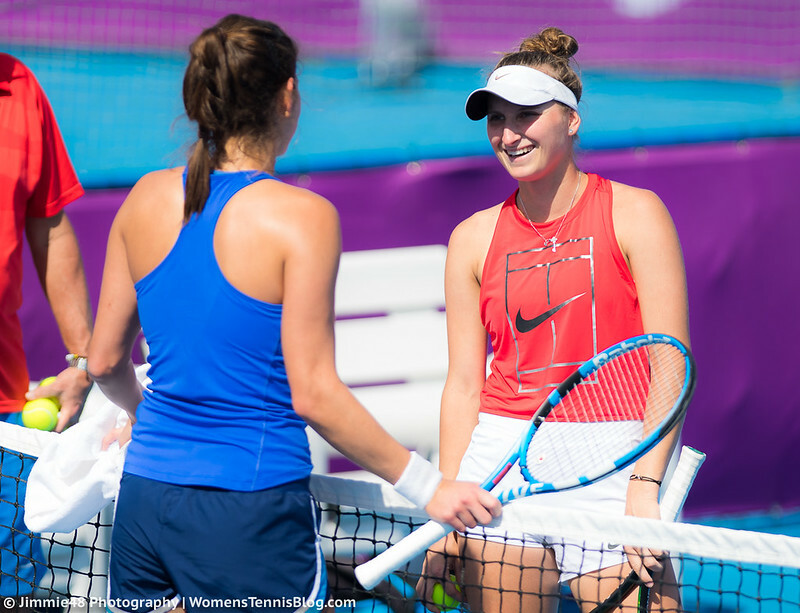 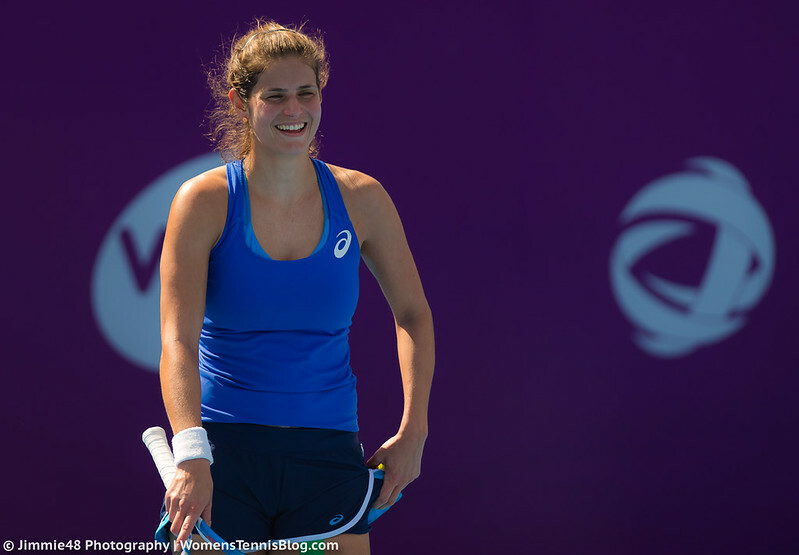 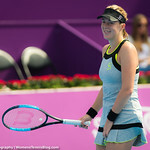 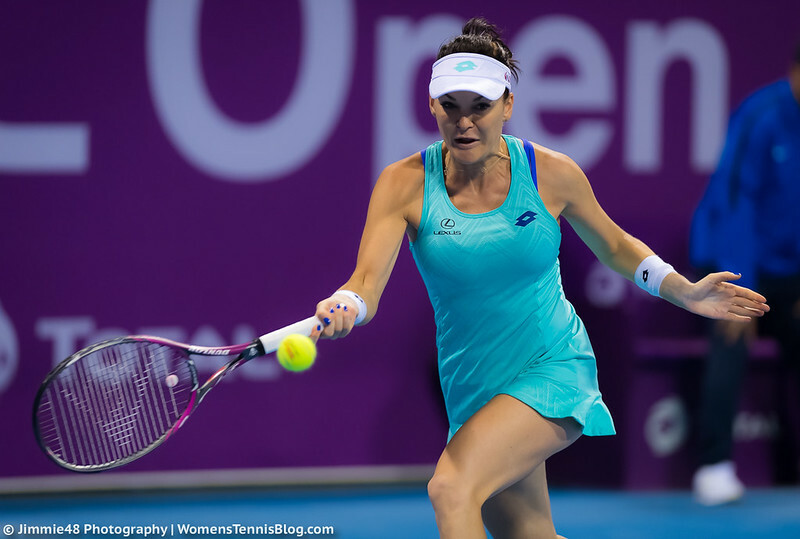 Our photographer Jimmie48 thoroughly covered the busy opening of the main draw action on Monday at the Qatar Total Open, with six matches on the center court. 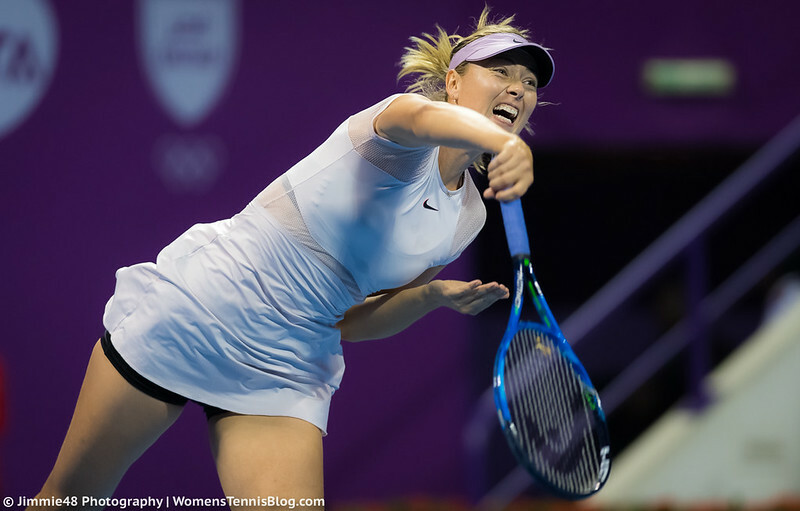 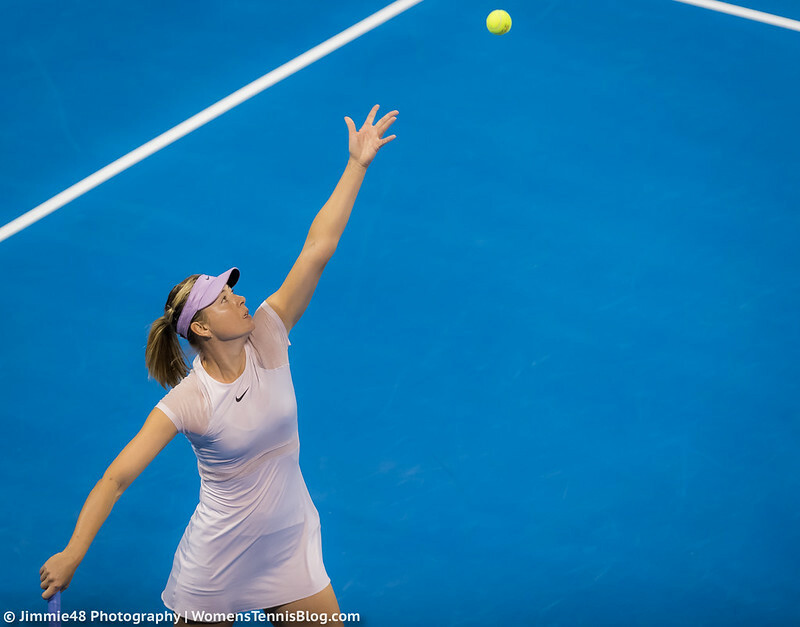 Maria Sharapova fell in the first round to Monica Niculescu, 4-6 6-4 6-3, Dominika Cibulkova defeated Anastasia Pavlyuchenkova 7-6(8) 6-4, and Agnieszka Radwanska needed as many as ten match points to finish off Mona Barthel 3-6 6-3 7-5. 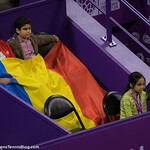 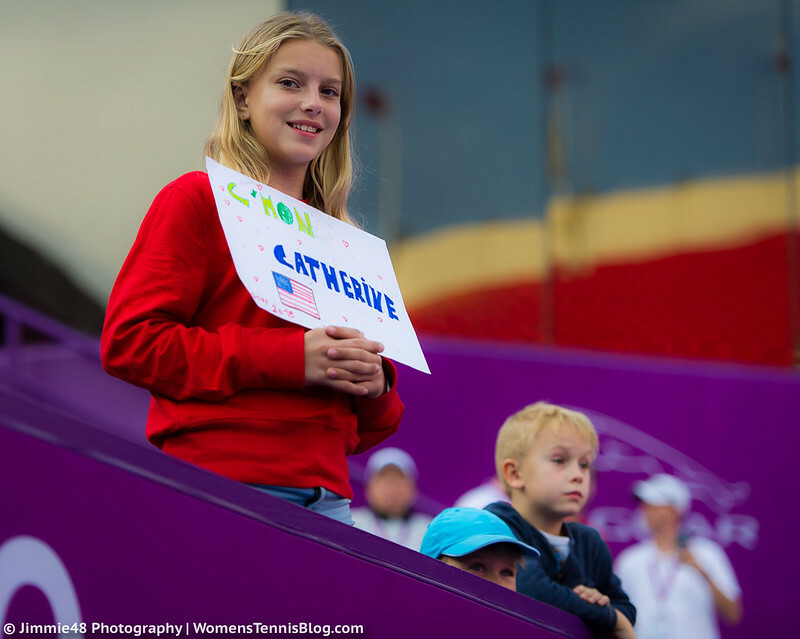 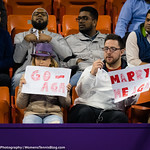 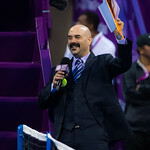 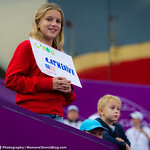 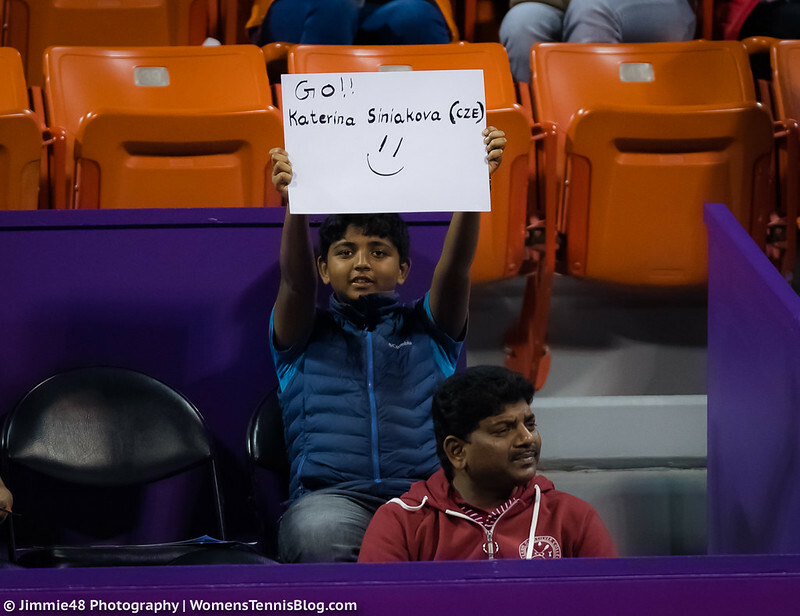 As you’ll see in the gallery, there was a guy in the stands holding a sign “Marry me Aga”. 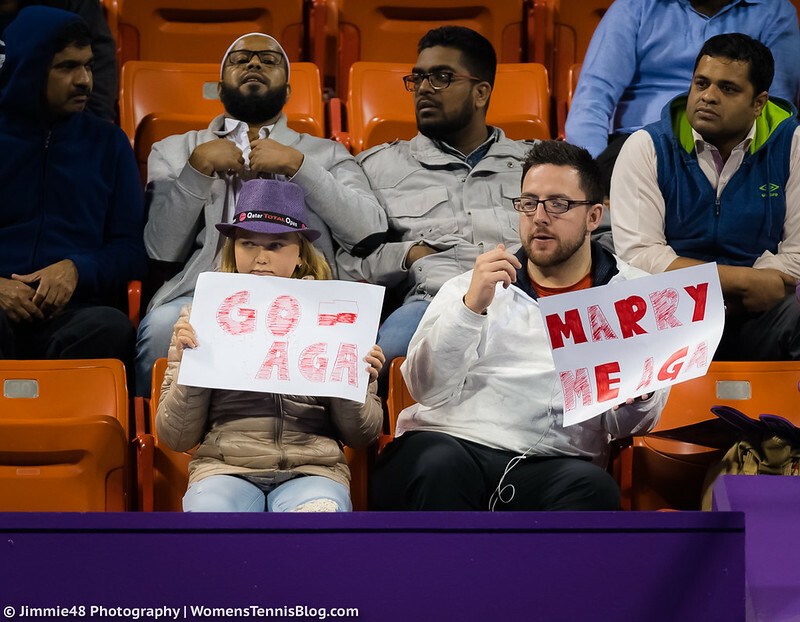 How come he missed that Aga got married a long time ago? 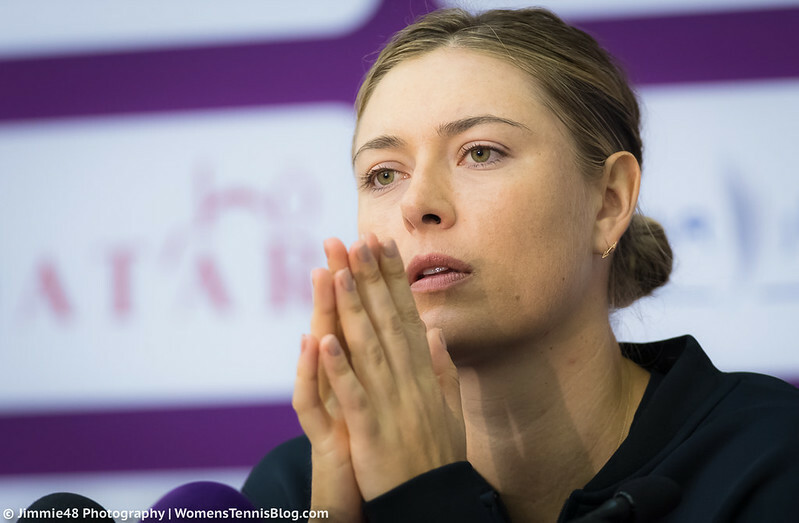 Or does he believe she may change her mind? 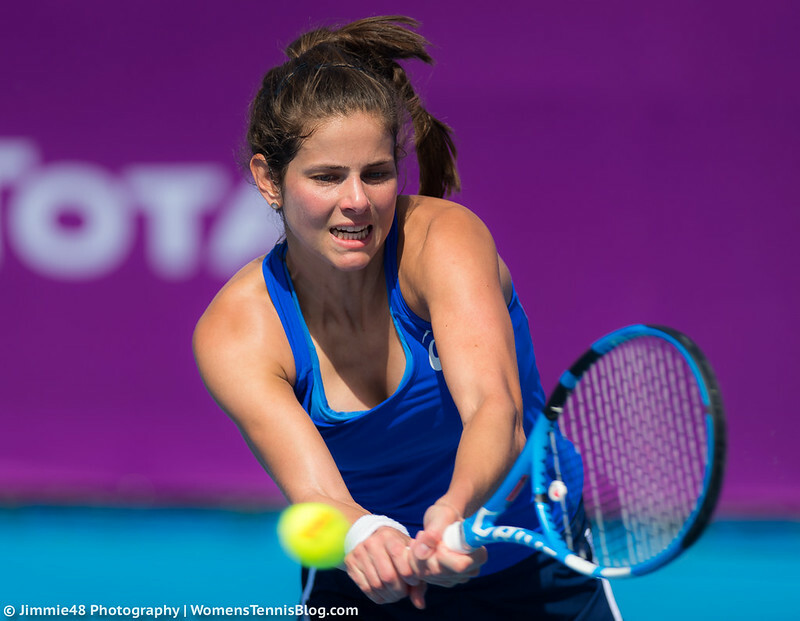 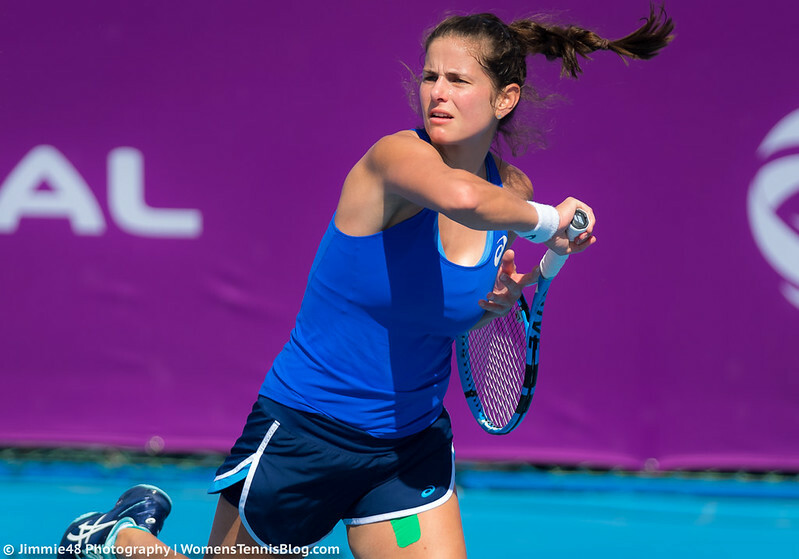 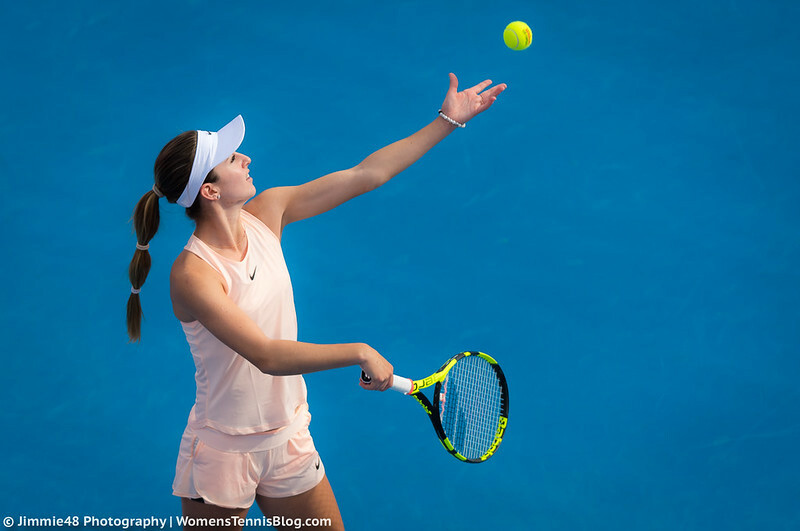 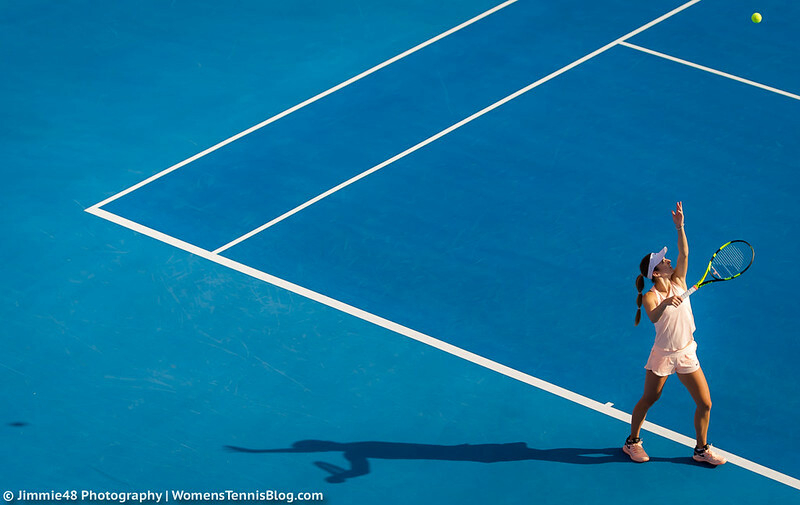 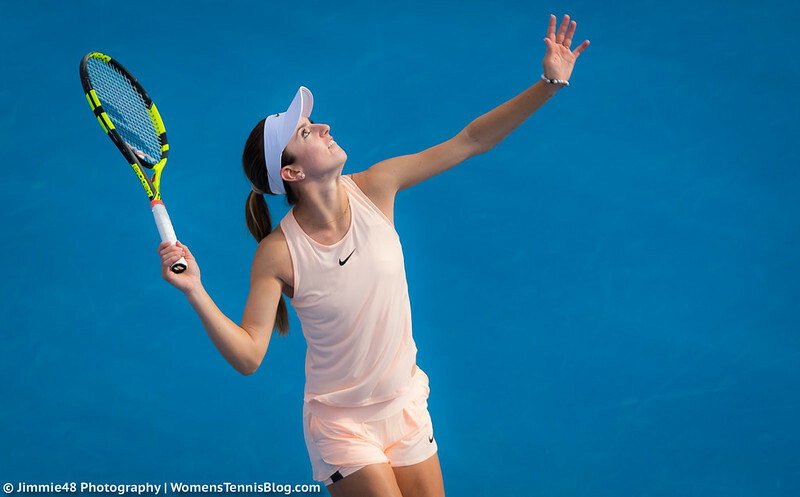 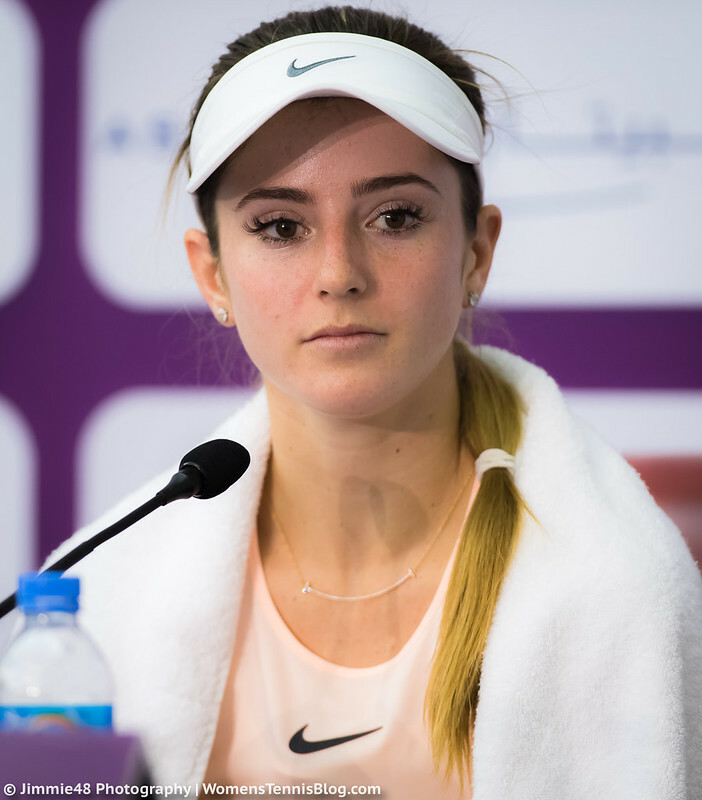 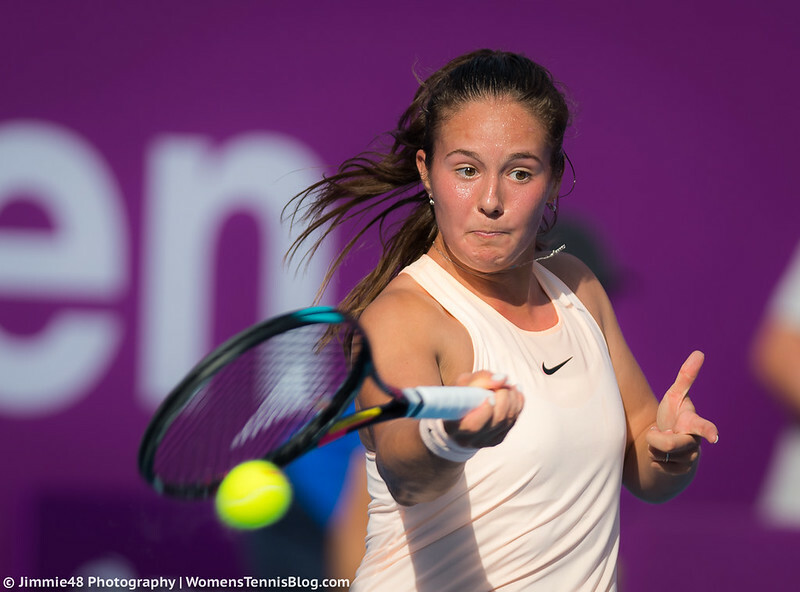 Daria Kasatkina was forced to retire with a neck injury in the second set, giving 18-year-old CiCi Bellis, who had lost just a few games during qualifying, a passage into the second round. 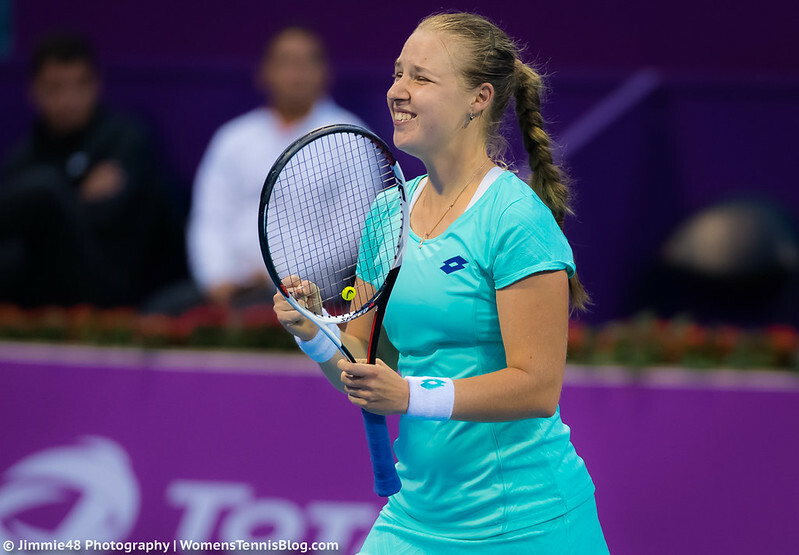 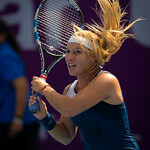 Another teenager, Anna Blinkova, celebrated a victory today, beating fellow Russian Elena Vesnina 6-1 6-3. 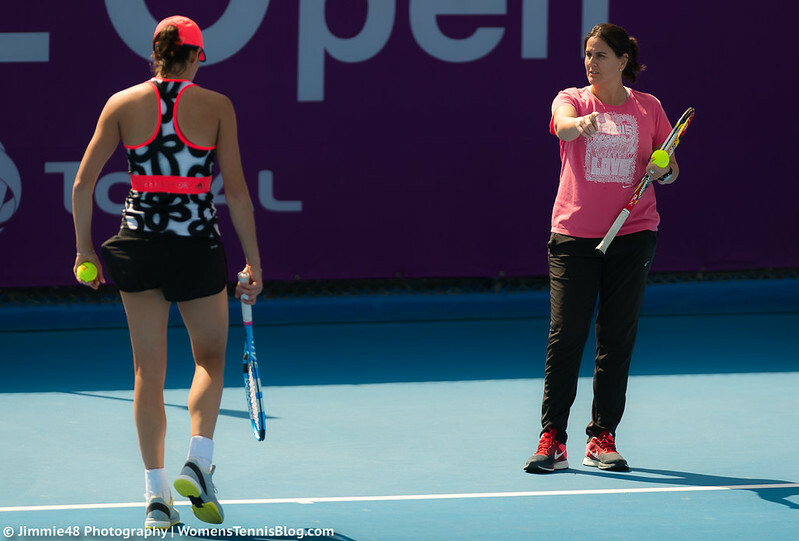 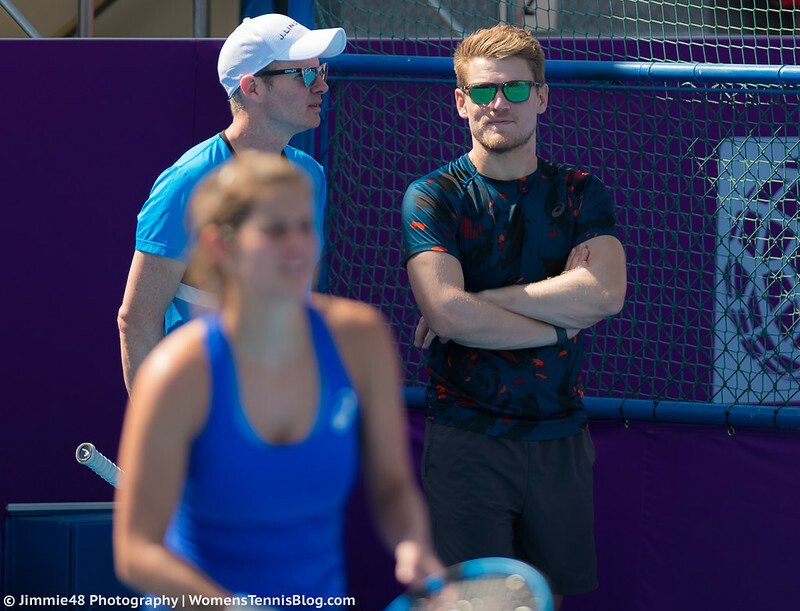 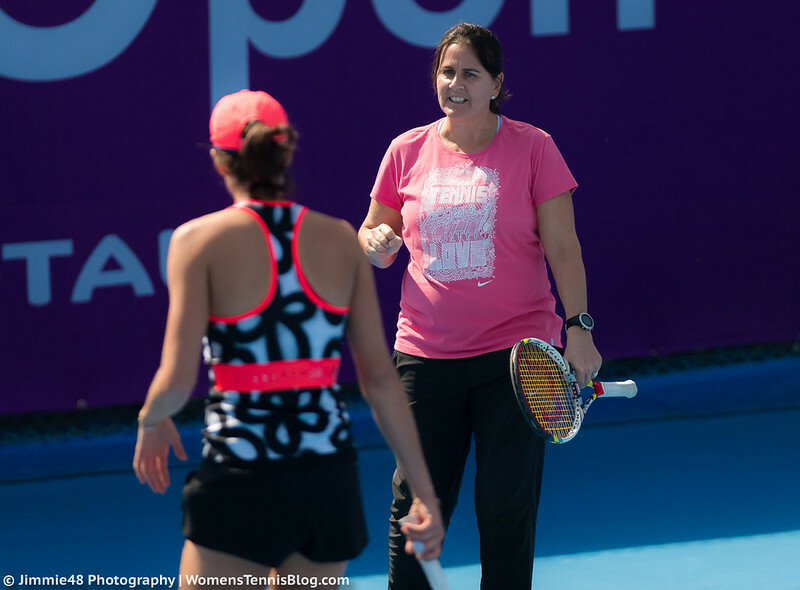 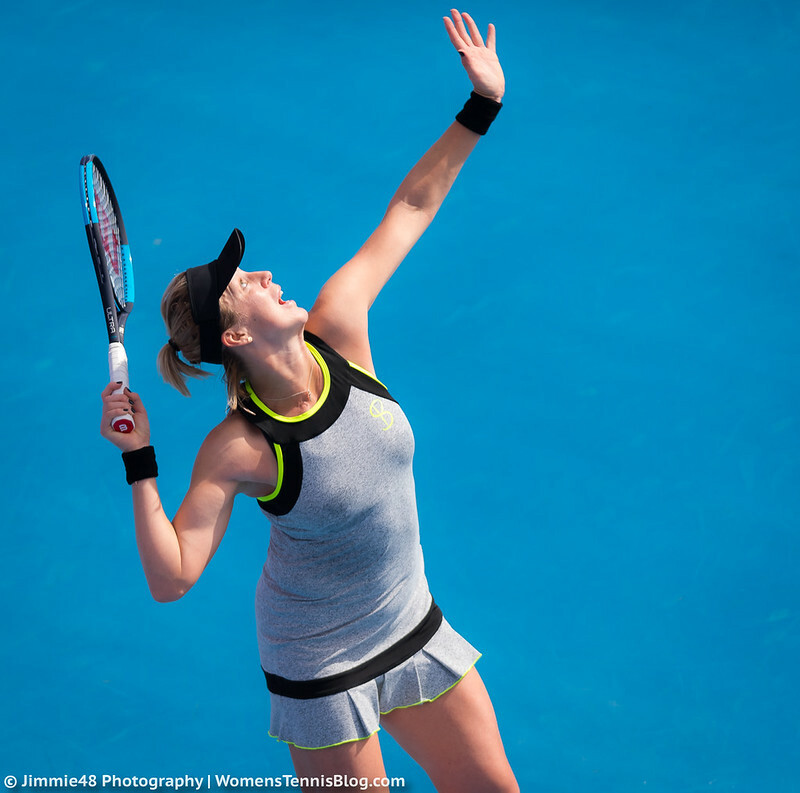 Moreover, we have photos of Julia Goerges‘ morning practice session with Marketa Vondrousova, as well as Garbine Muguruza‘s training with Conchita Martinez, during which Garbi showcased an eye-catching Adidas kit, featuring black graffiti spray paint flowers and vibrant orange accents (the outfit is probably from Stella McCartney’s collection that is yet to be released). 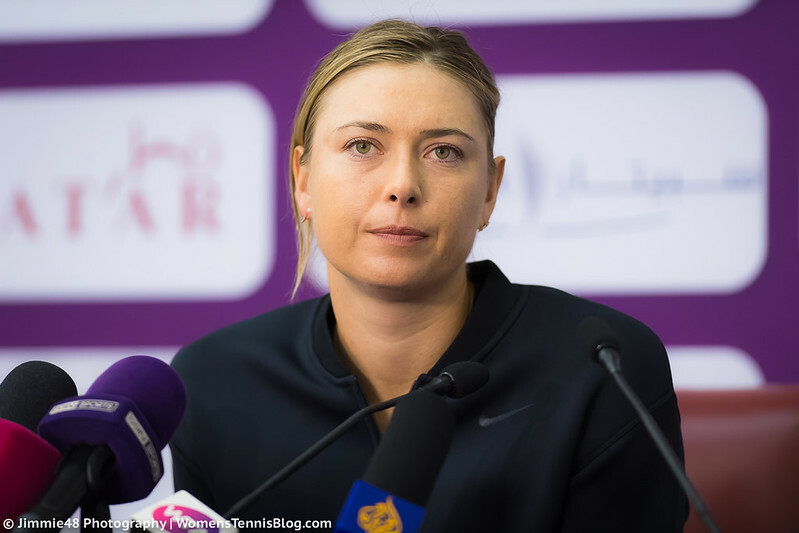 Sharapova is the most overrated player in history of tennis.